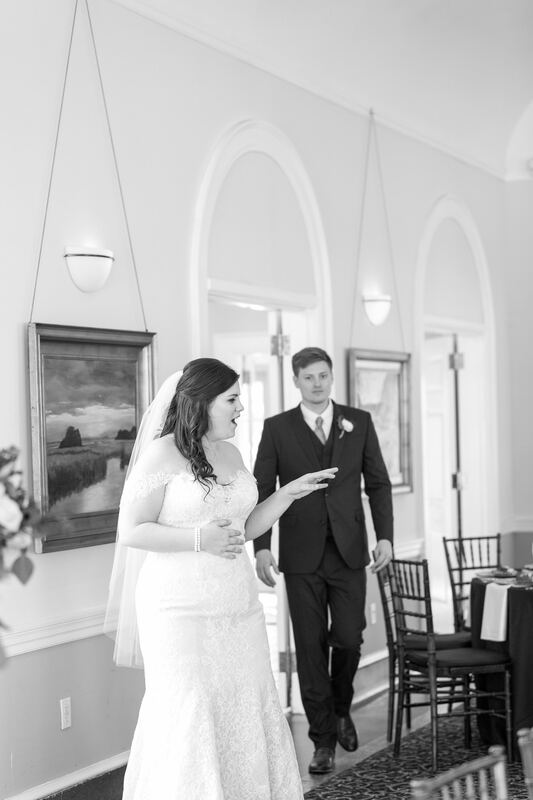 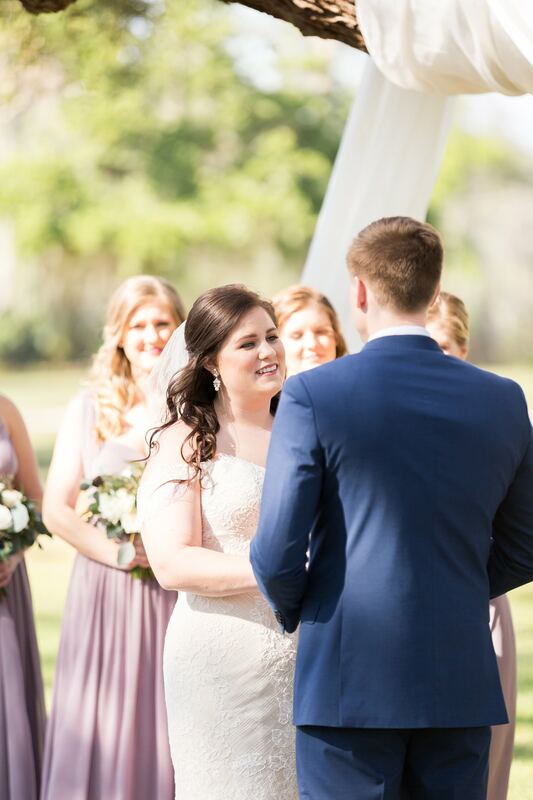 On Colbie + Kristen’s wedding day, we heard family and friends jokingly make comments along the lines of “it’s about time”! 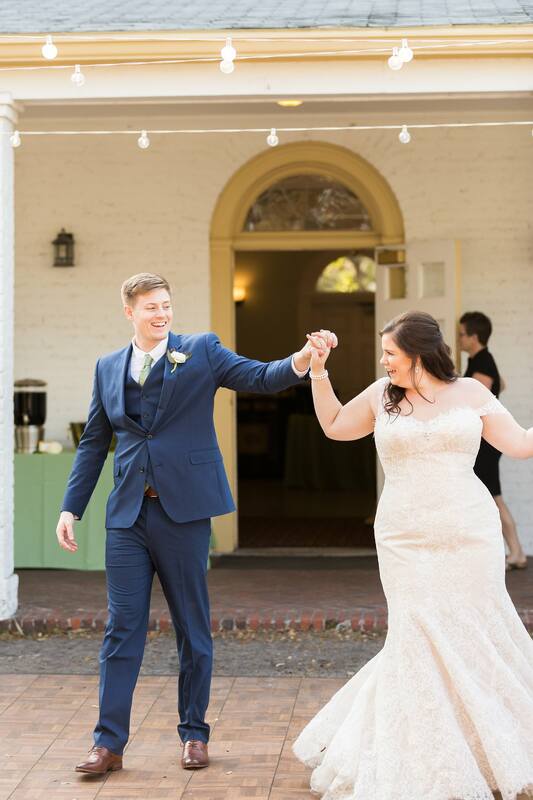 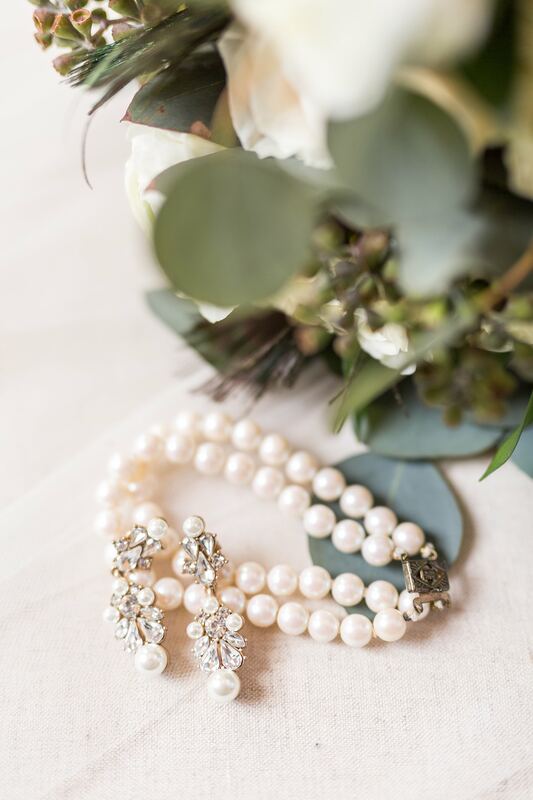 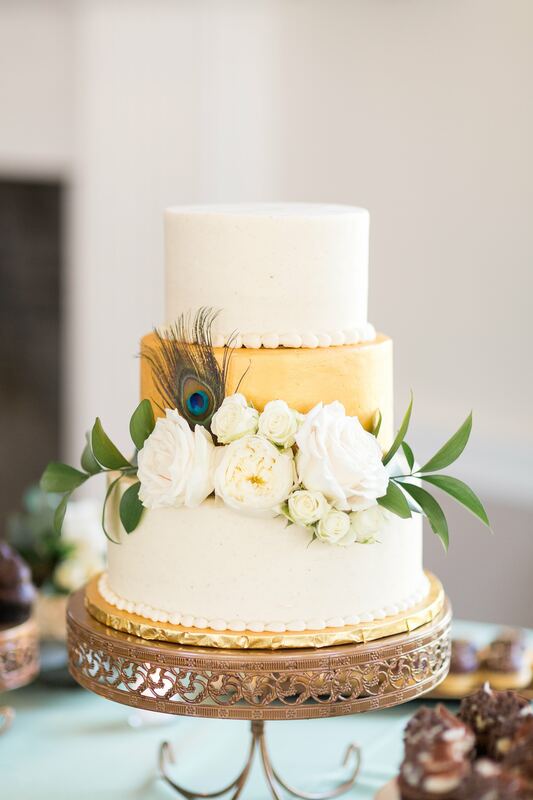 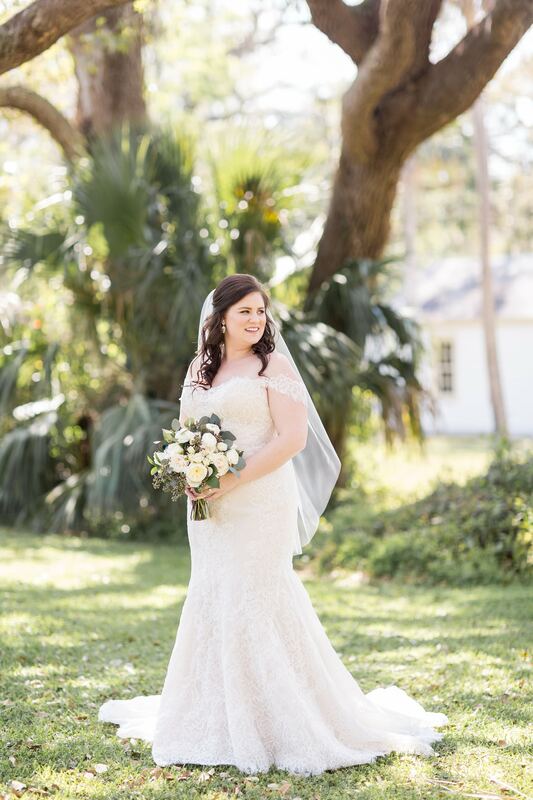 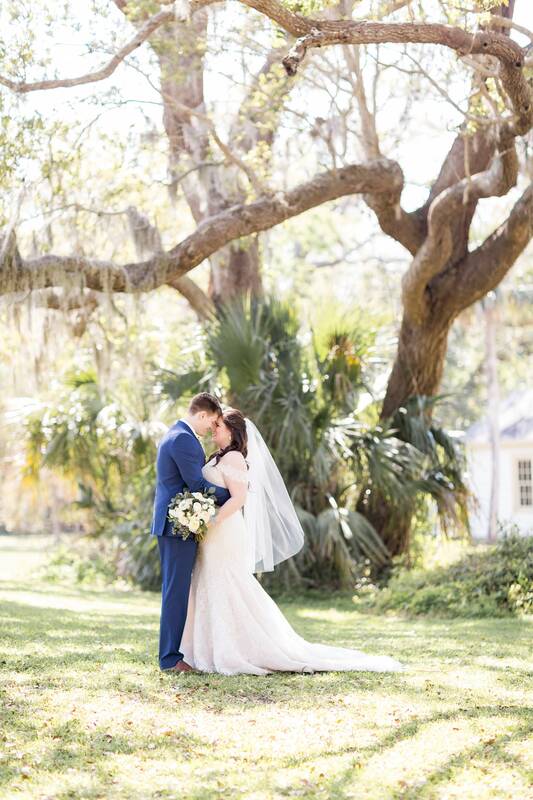 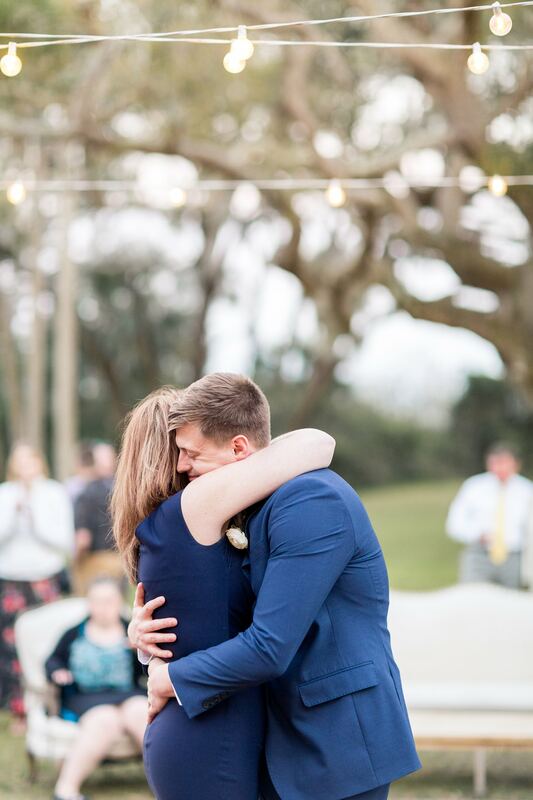 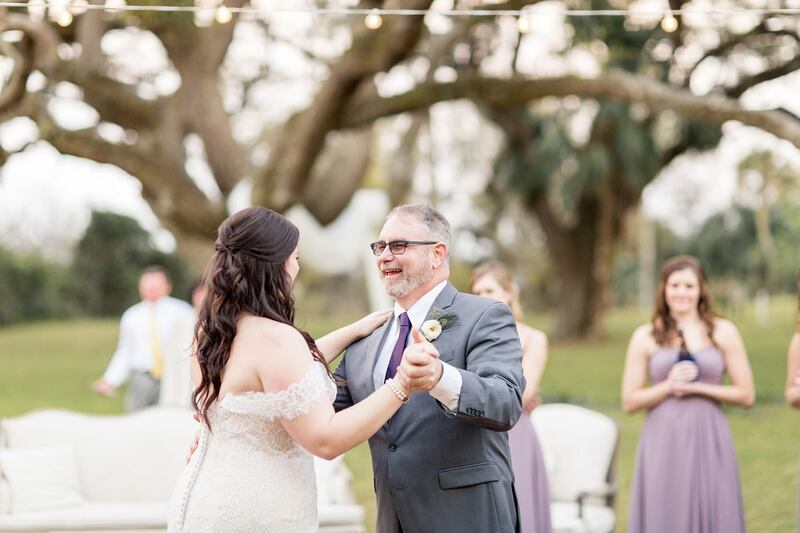 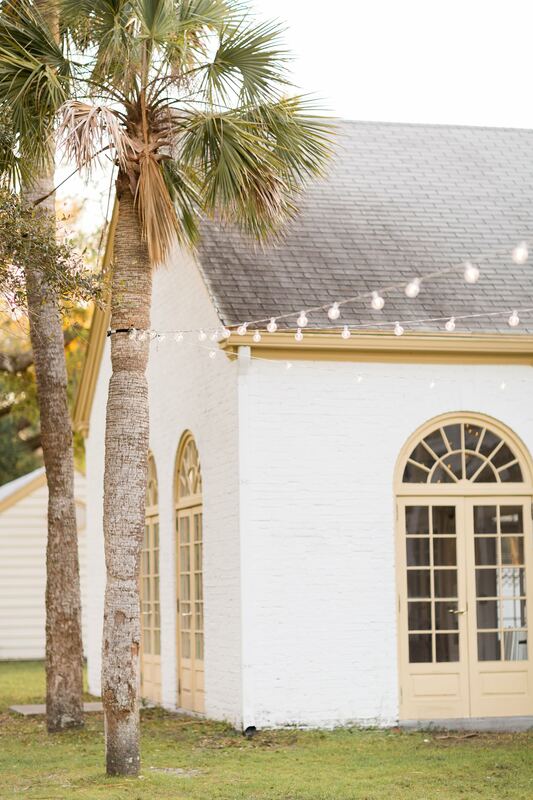 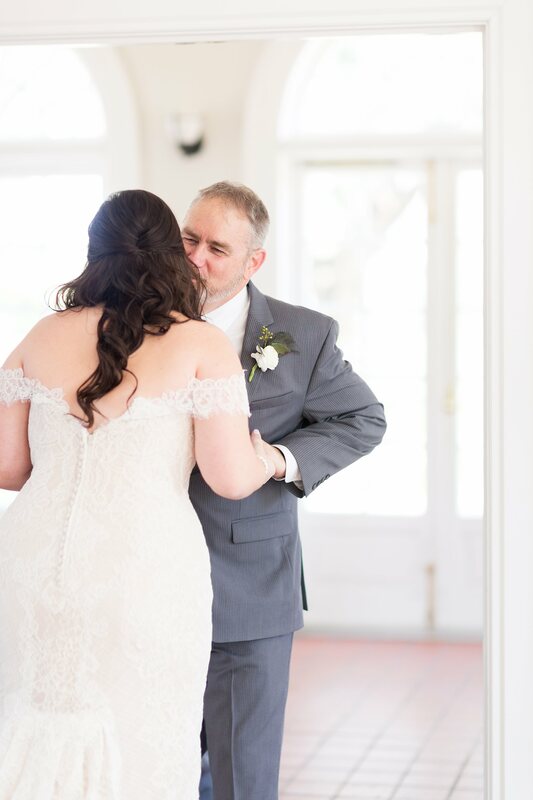 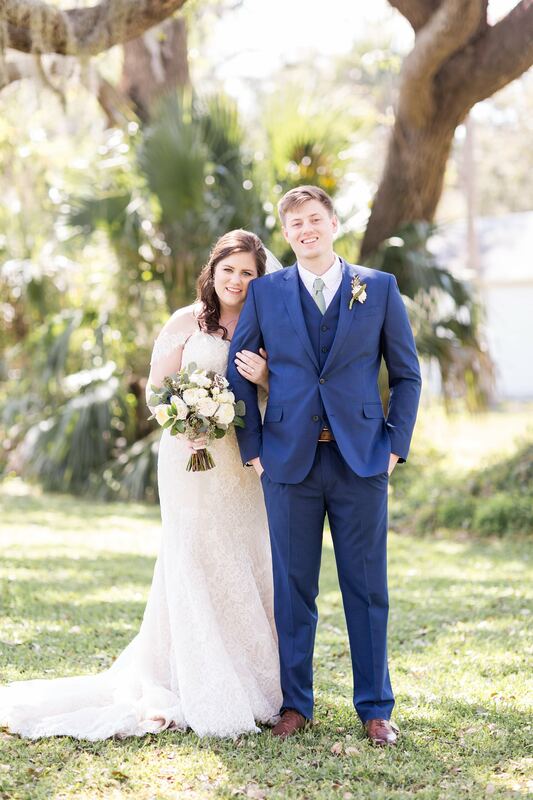 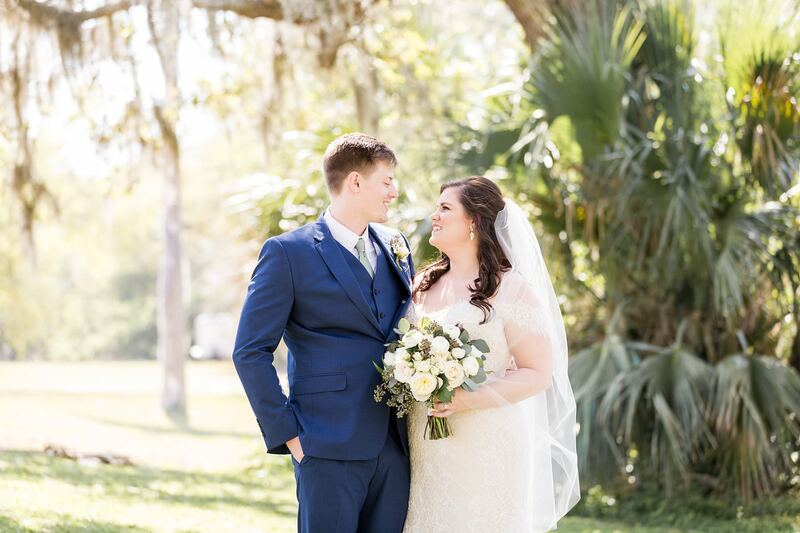 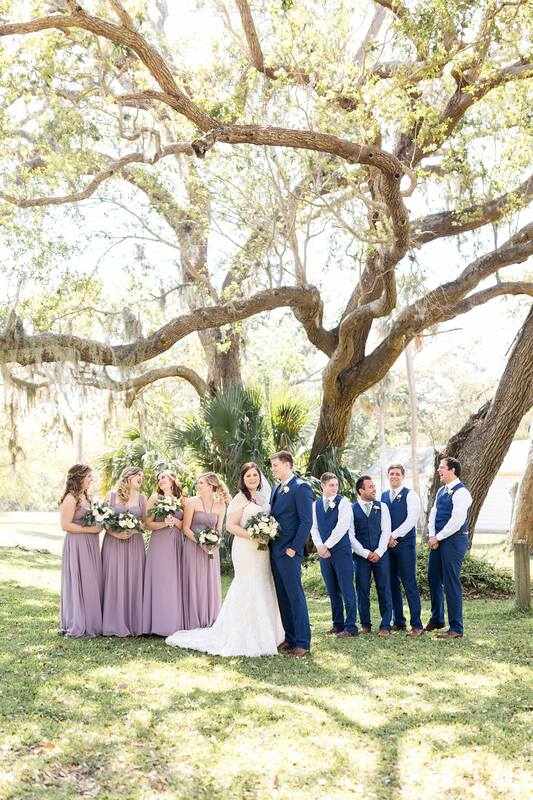 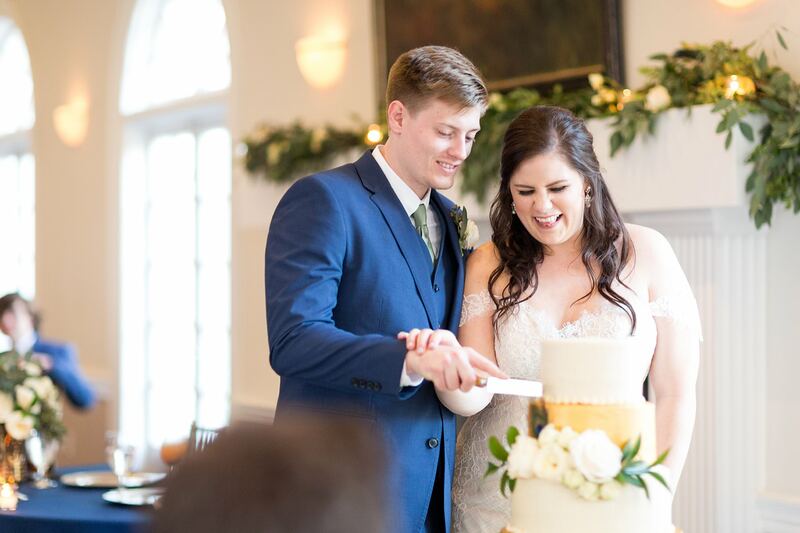 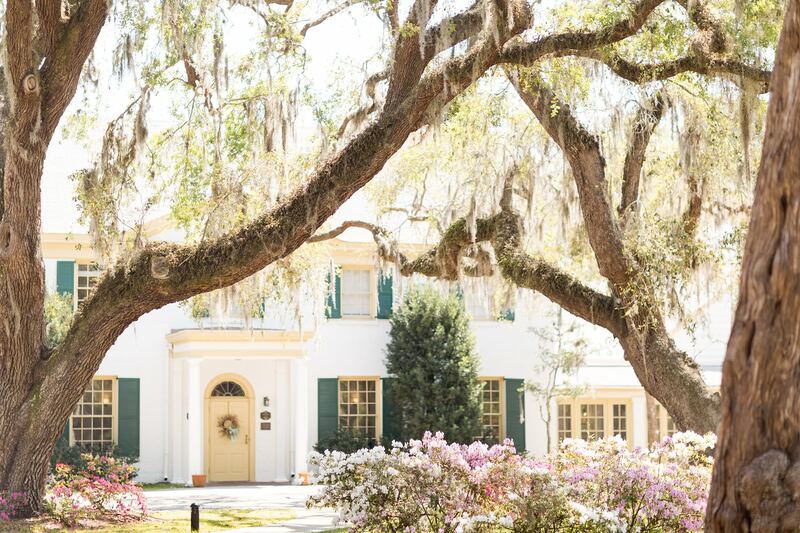 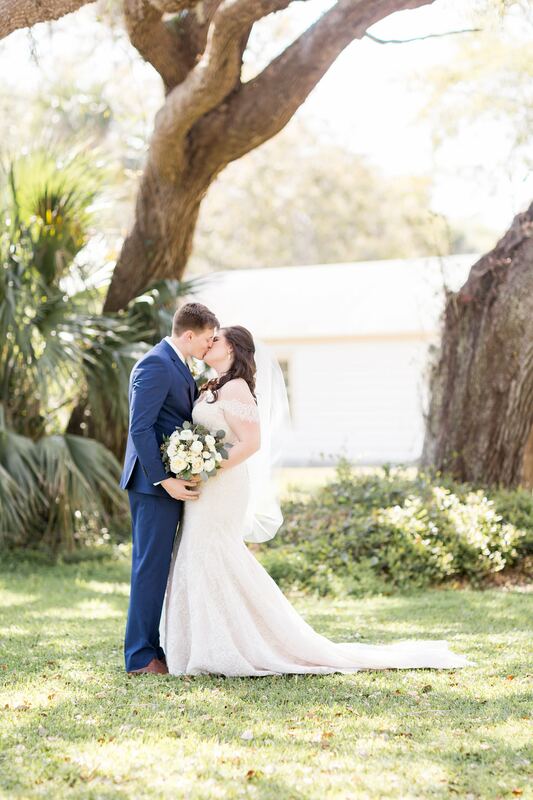 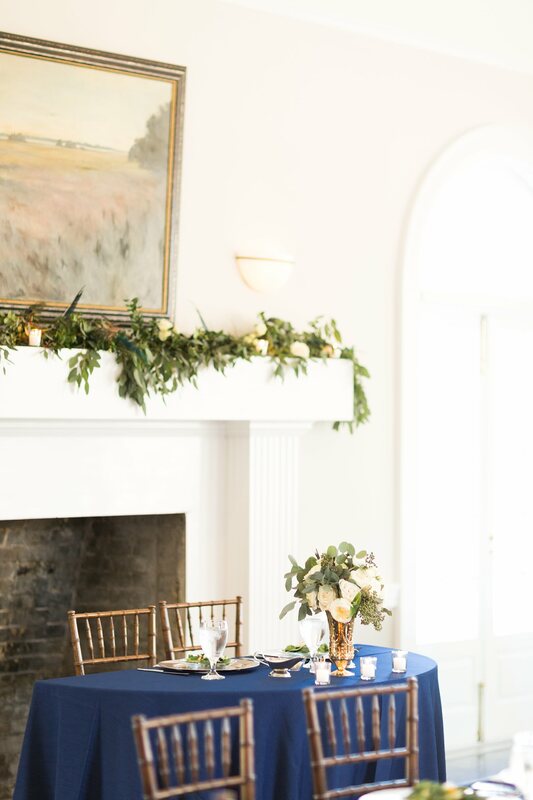 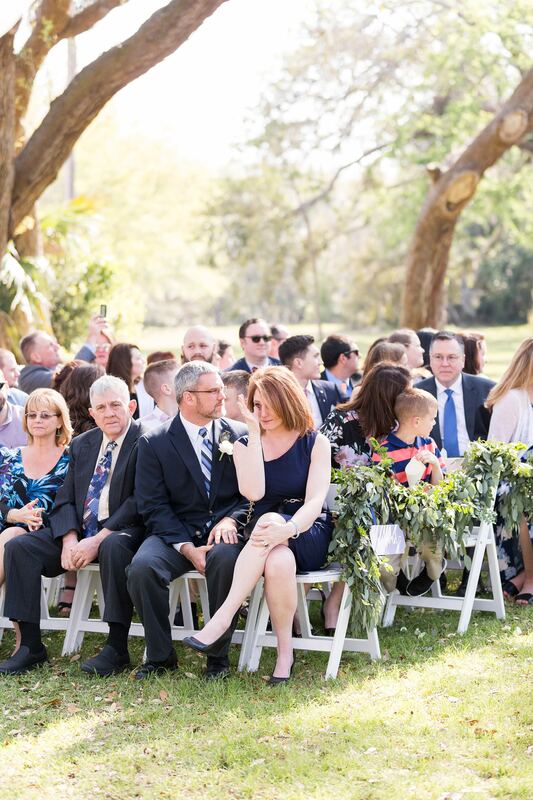 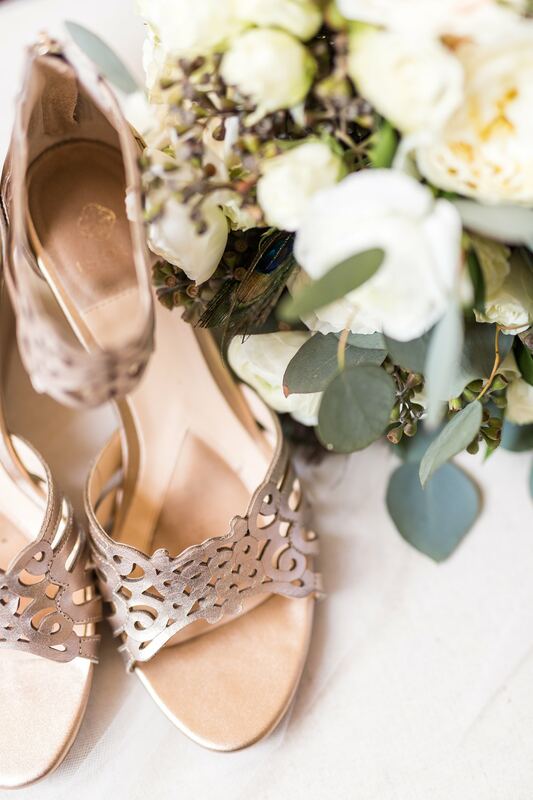 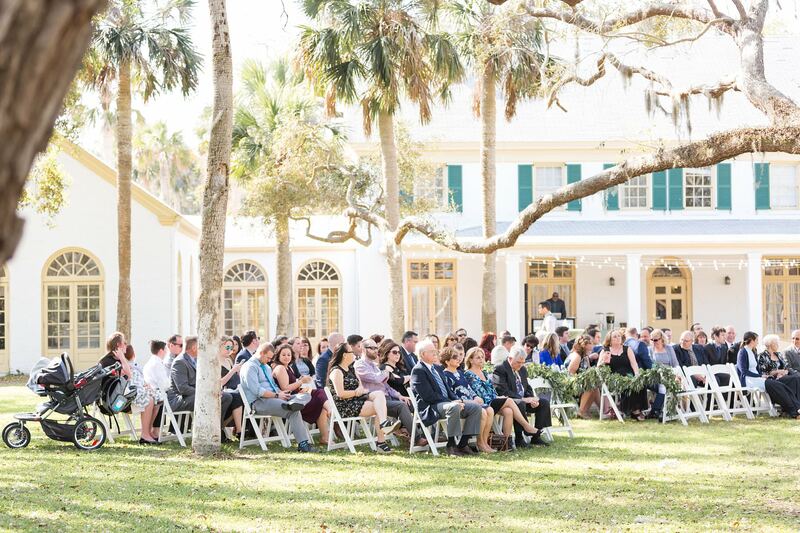 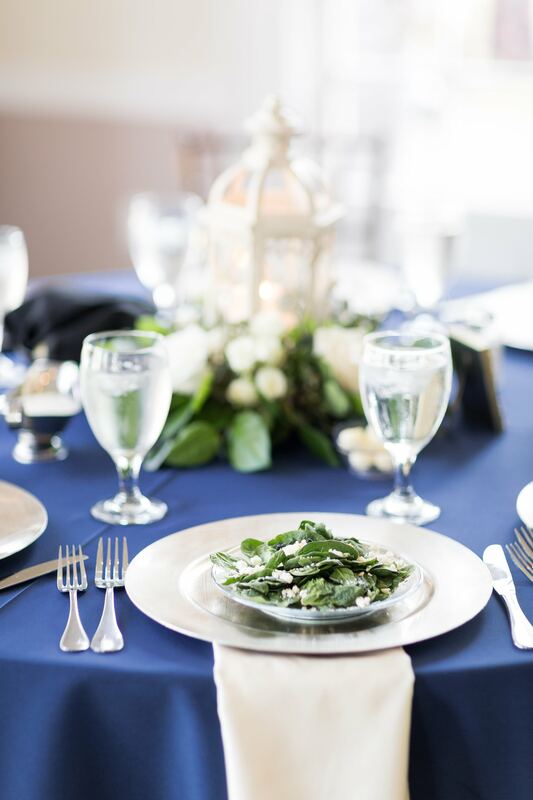 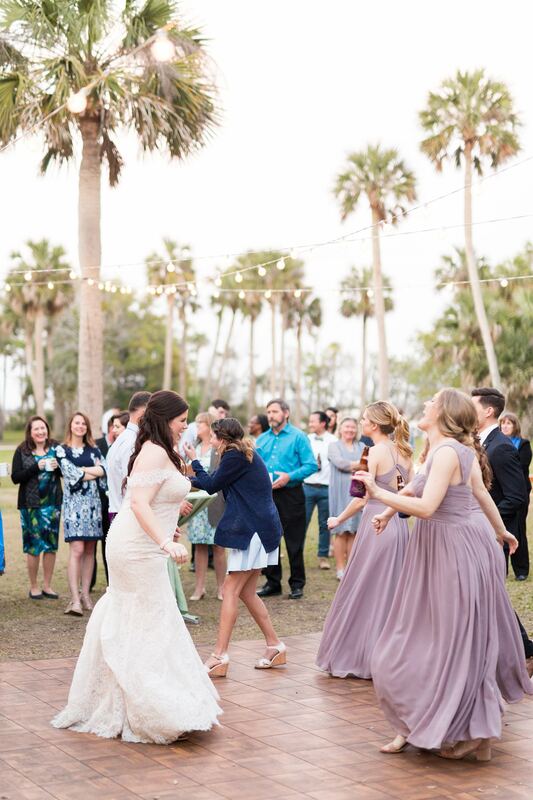 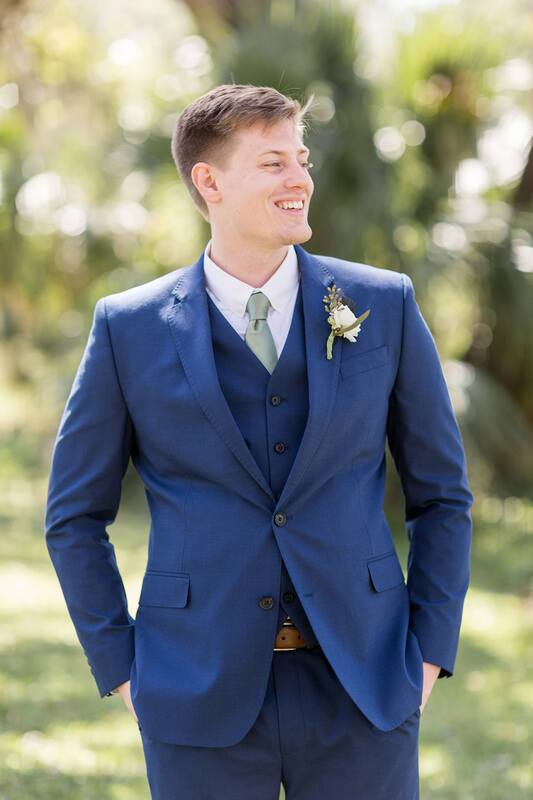 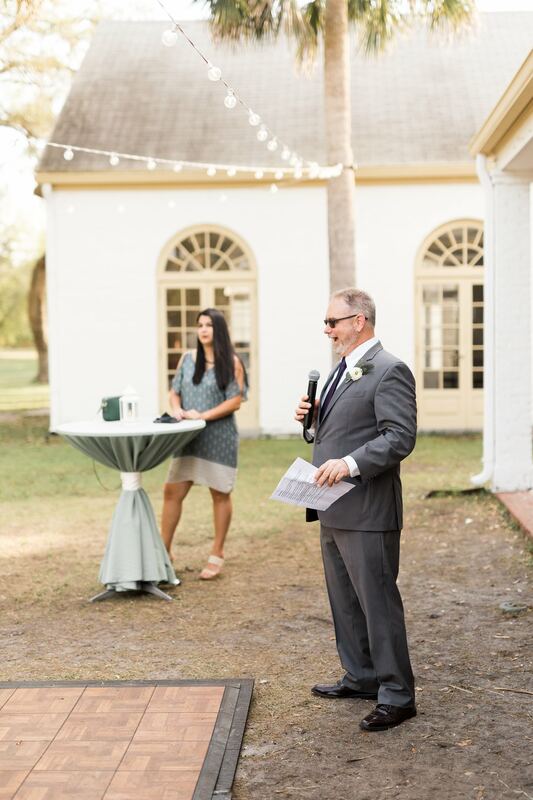 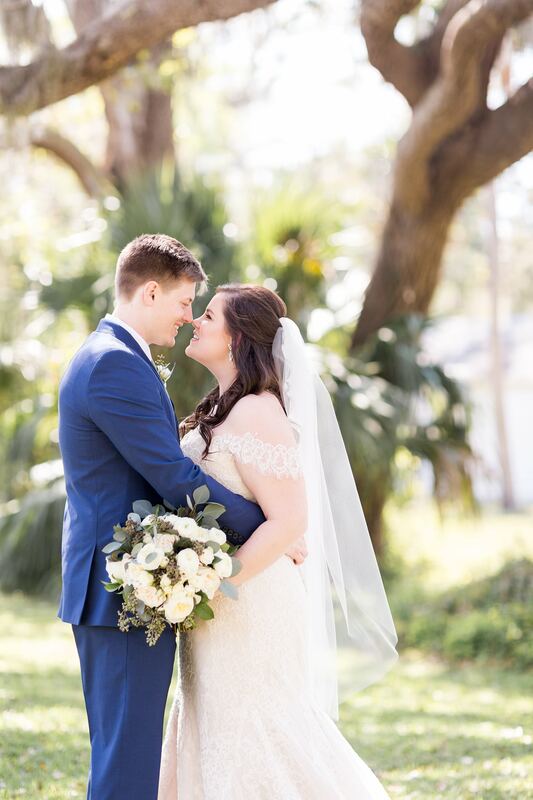 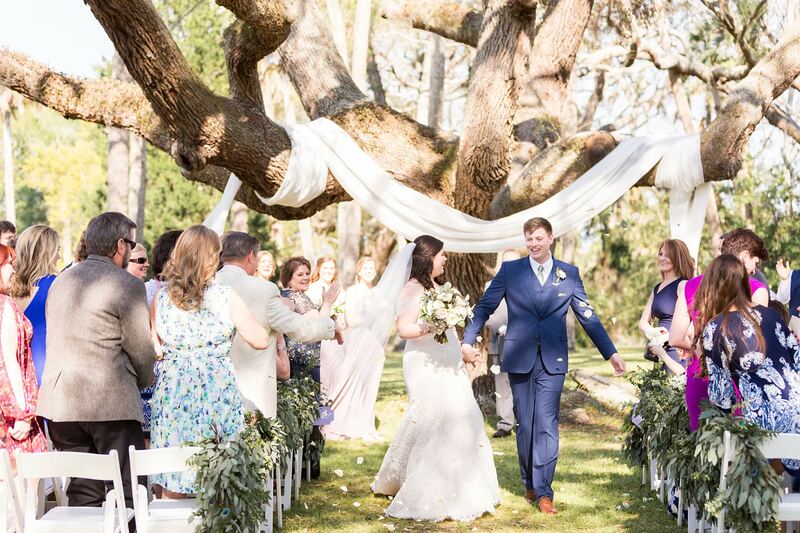 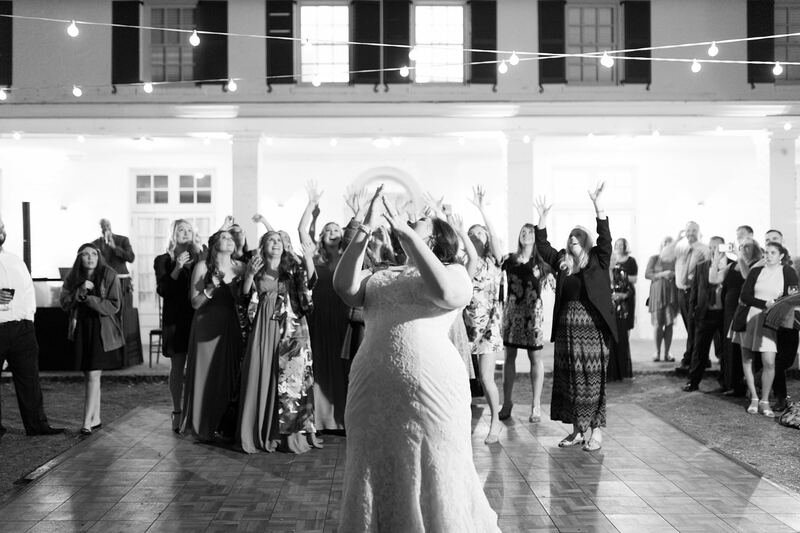 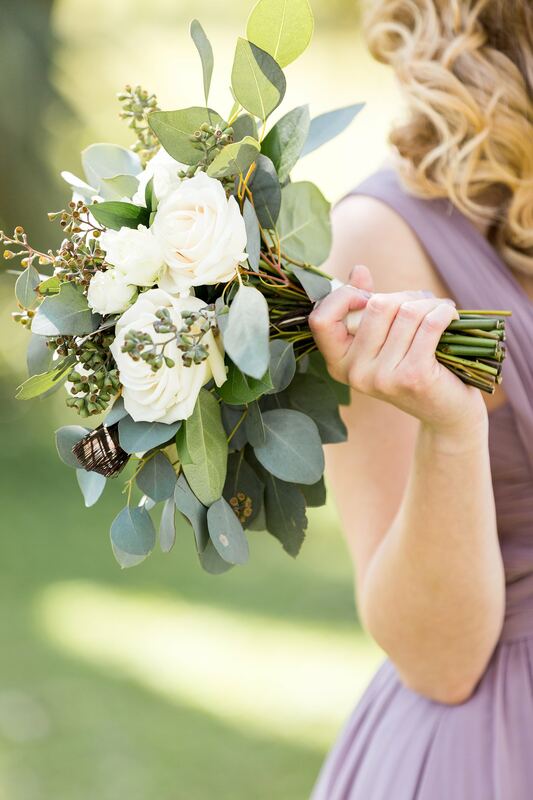 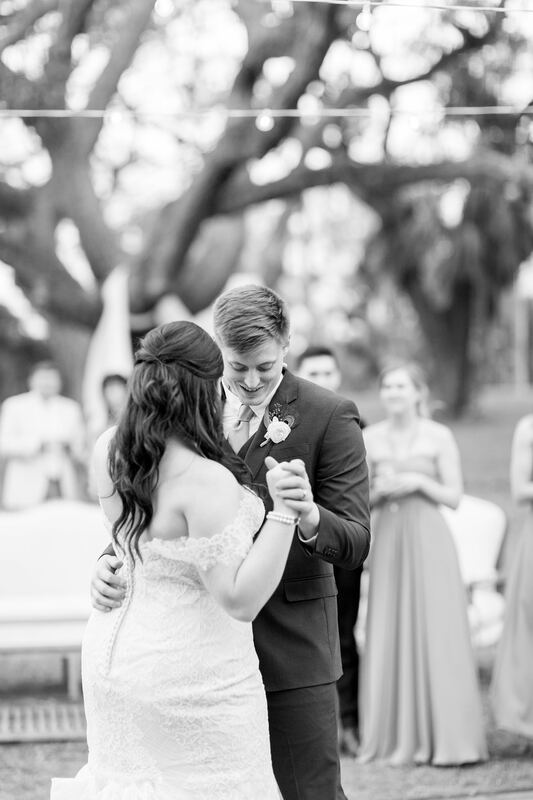 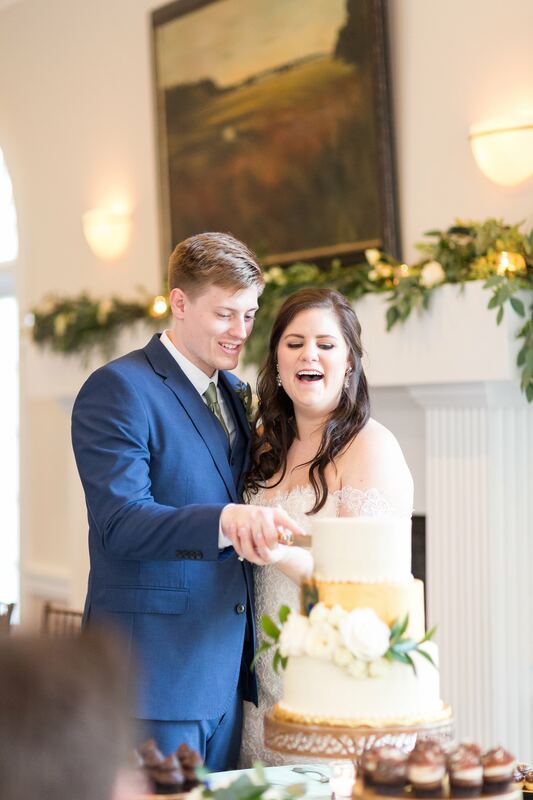 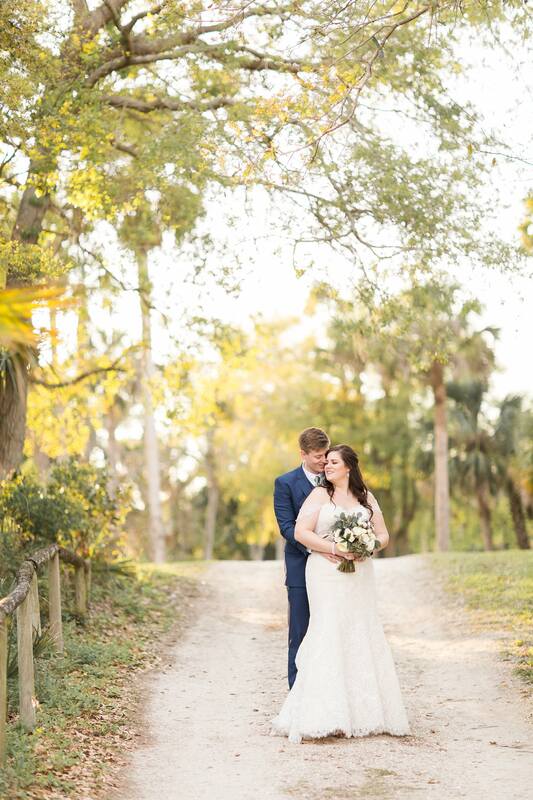 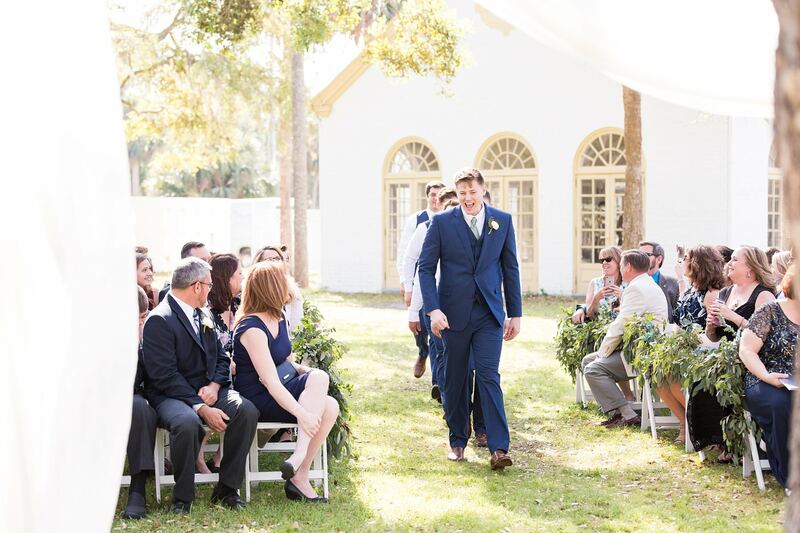 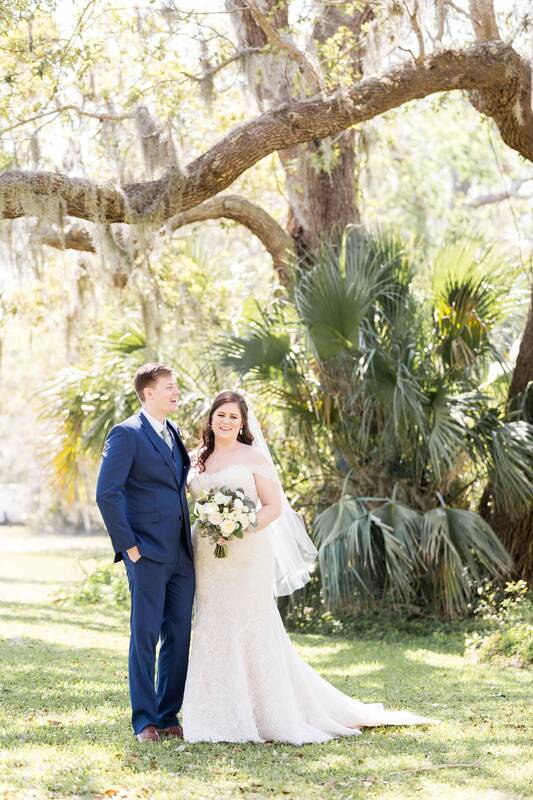 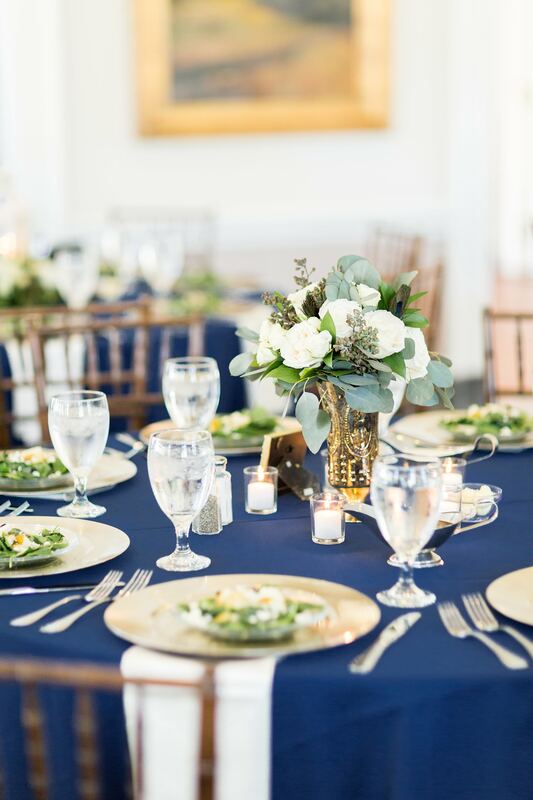 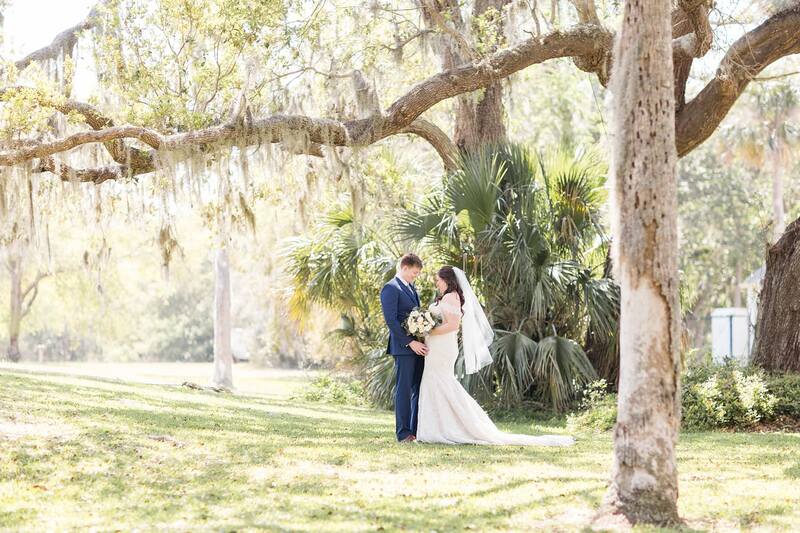 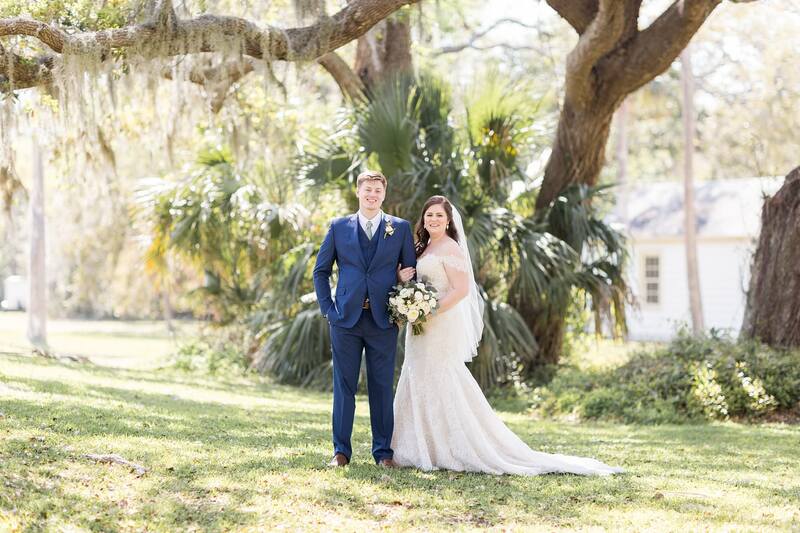 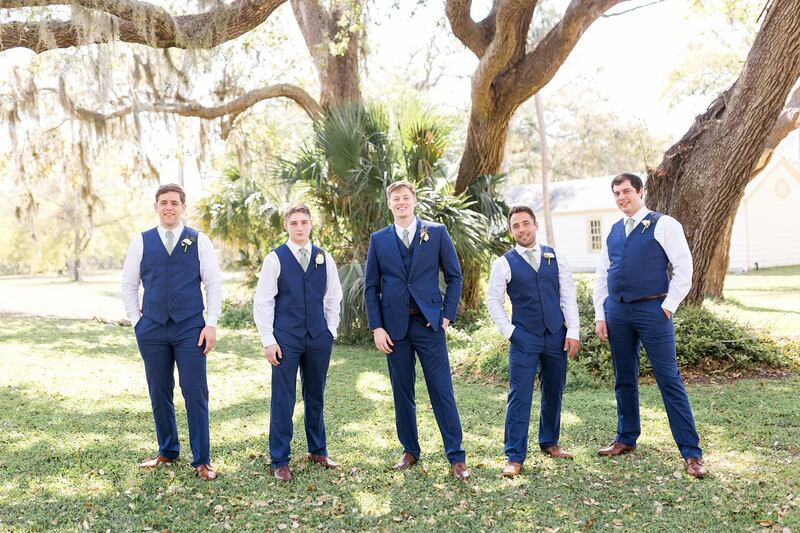 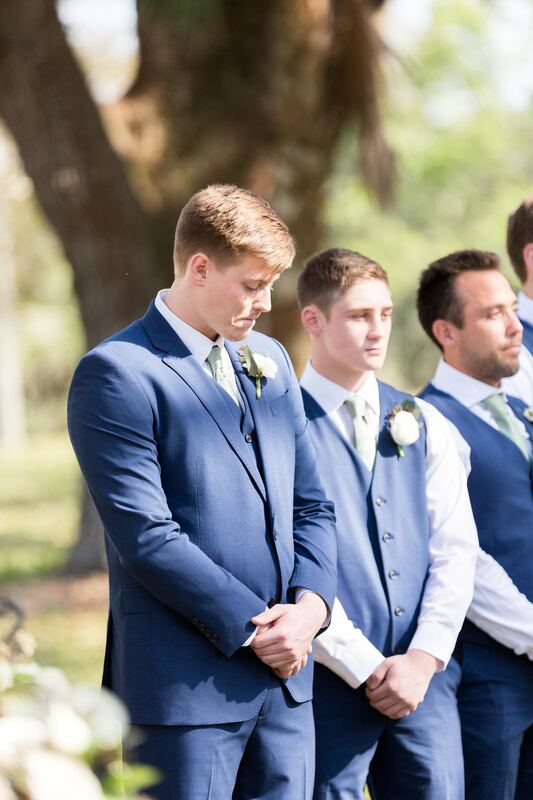 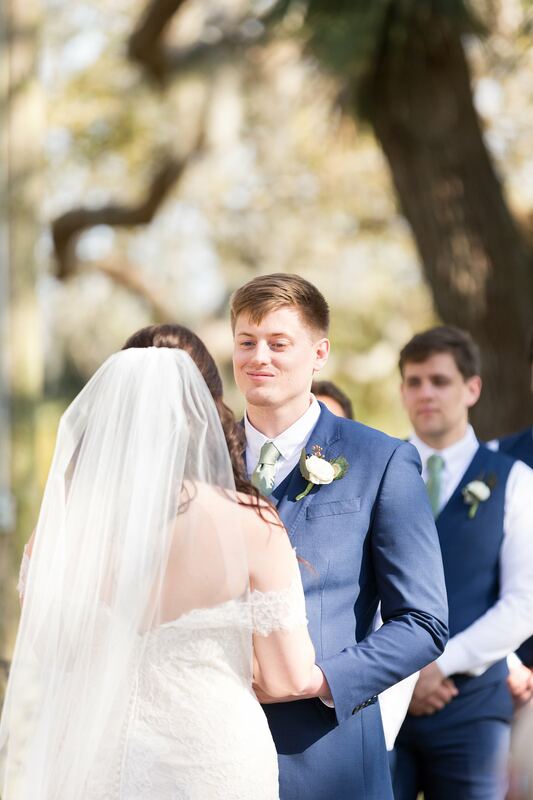 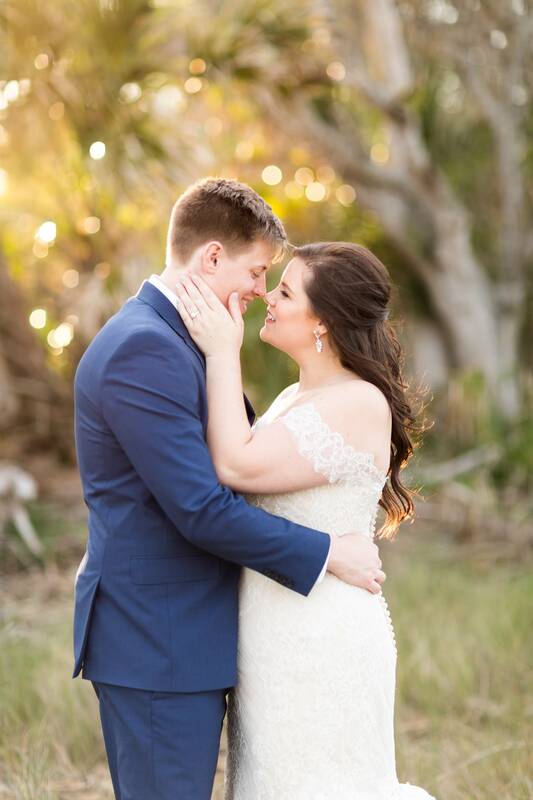 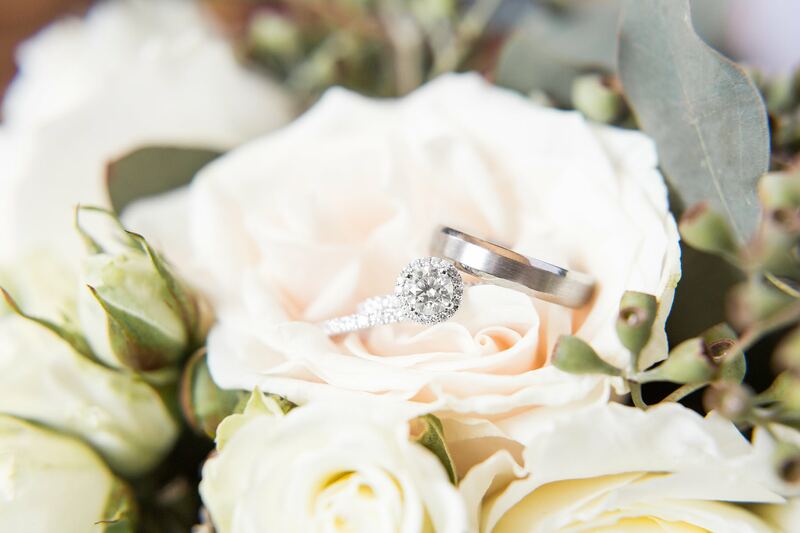 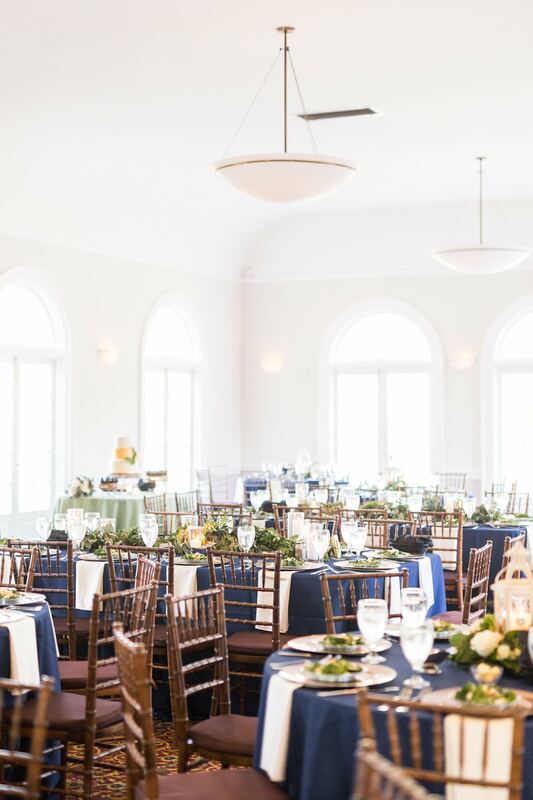 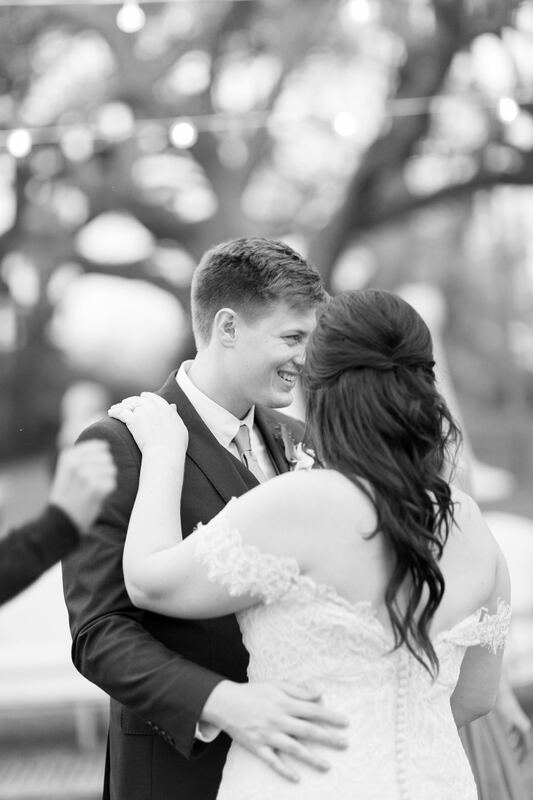 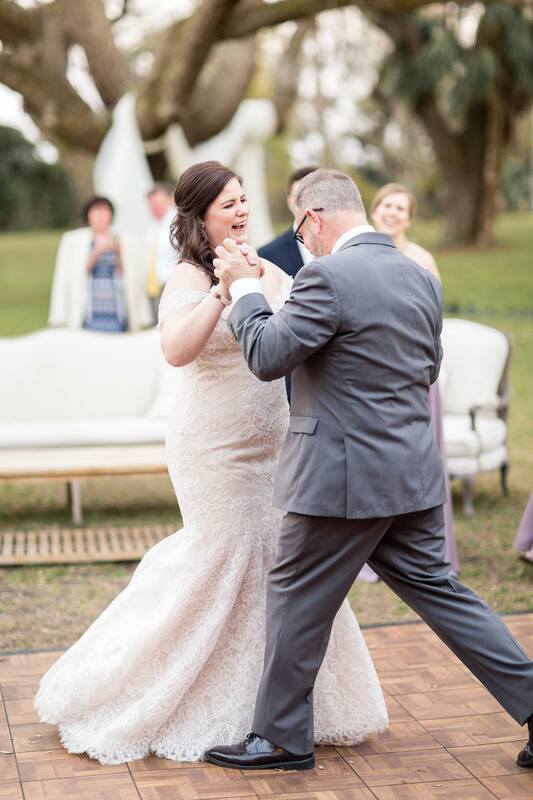 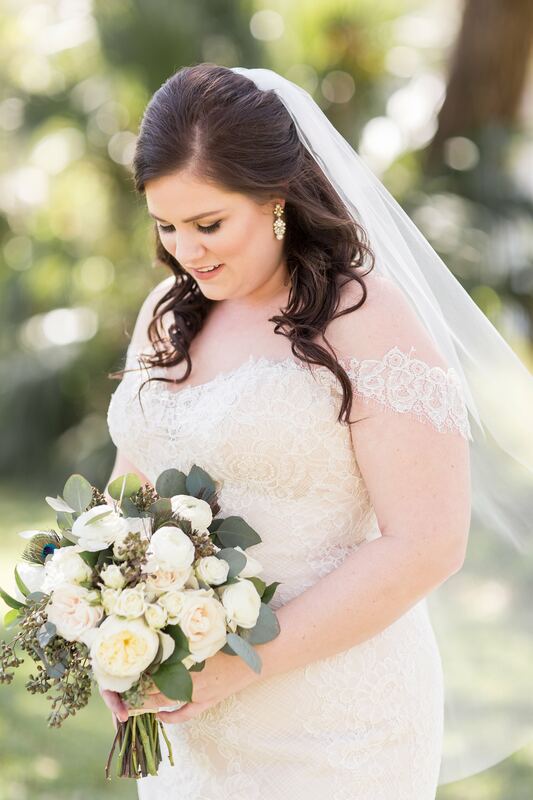 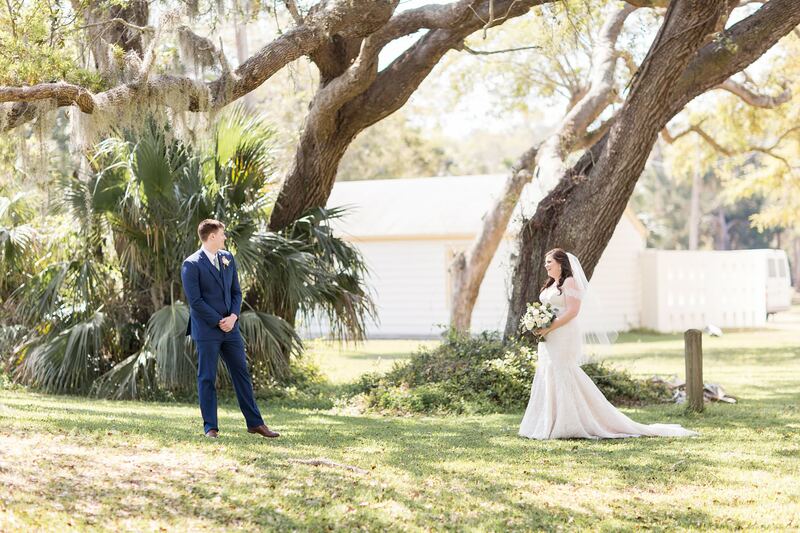 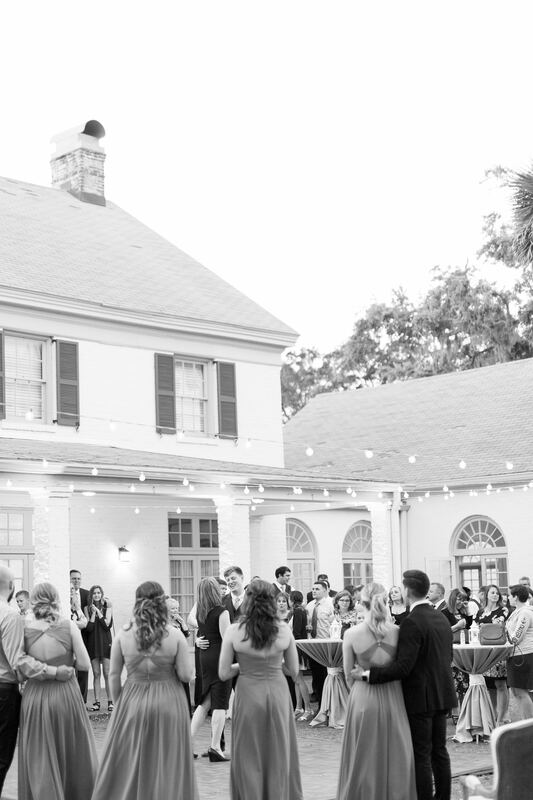 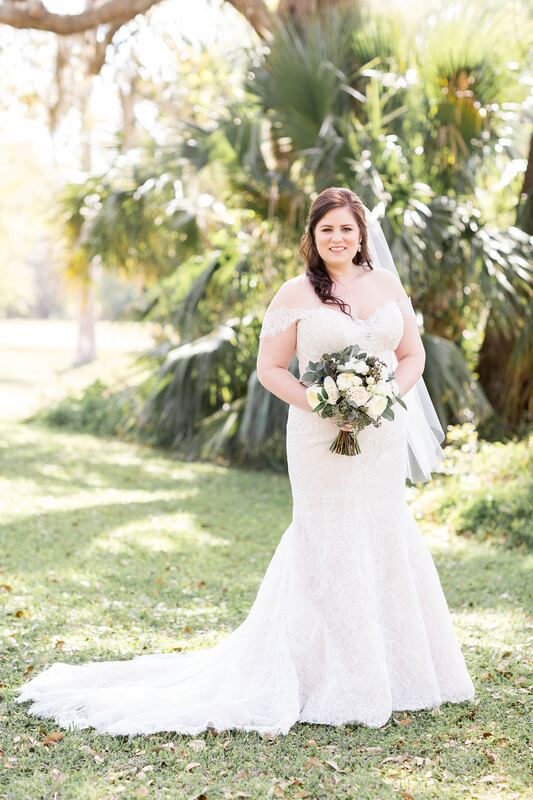 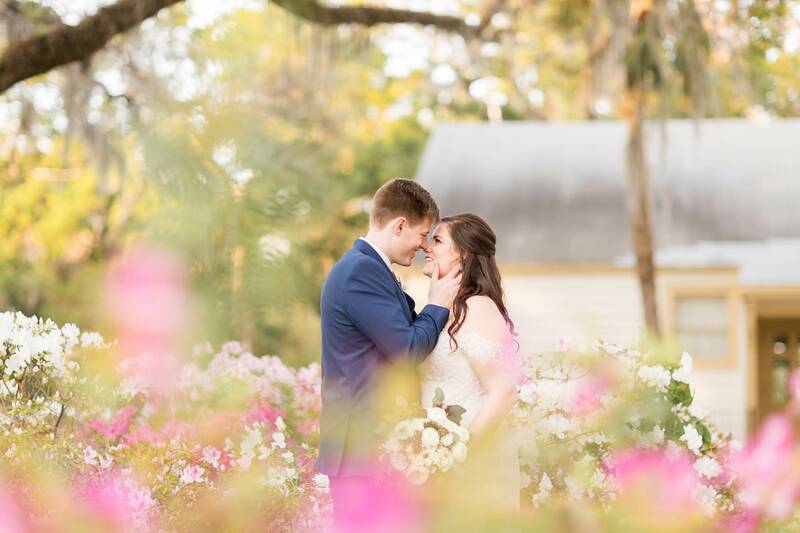 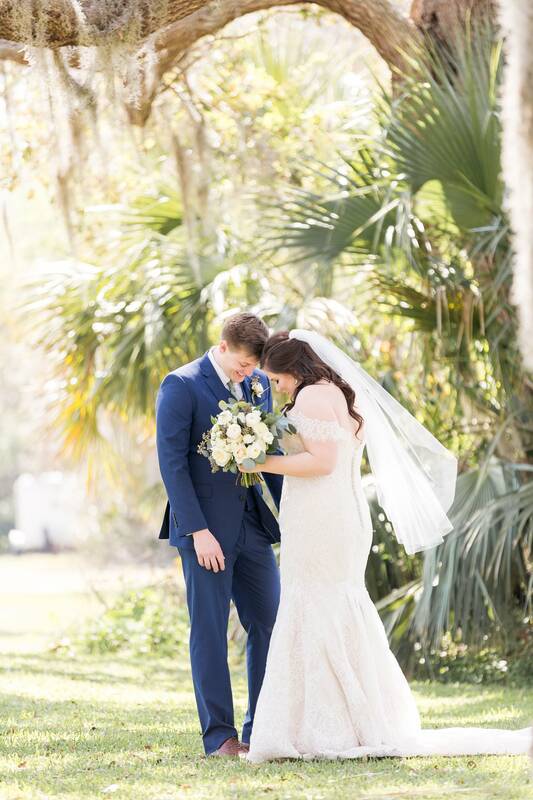 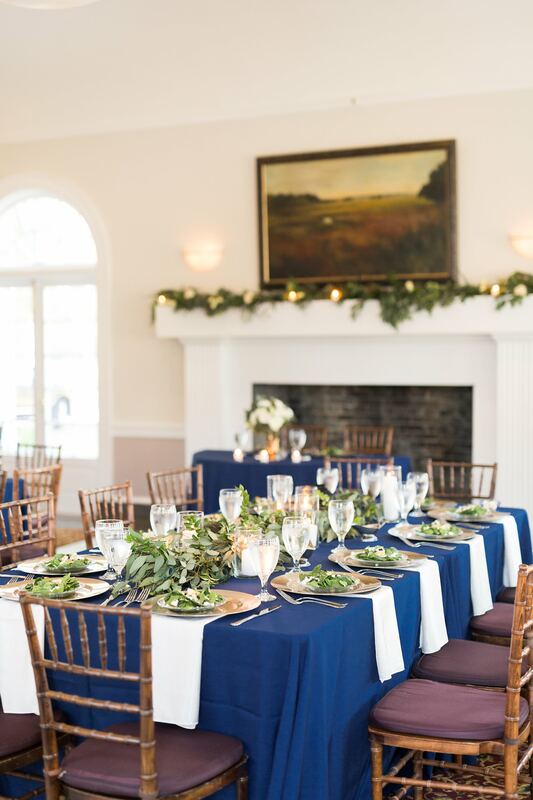 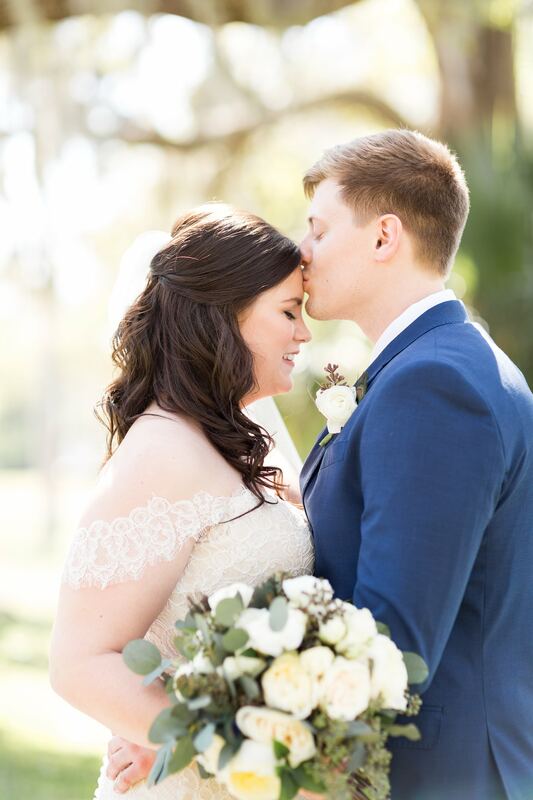 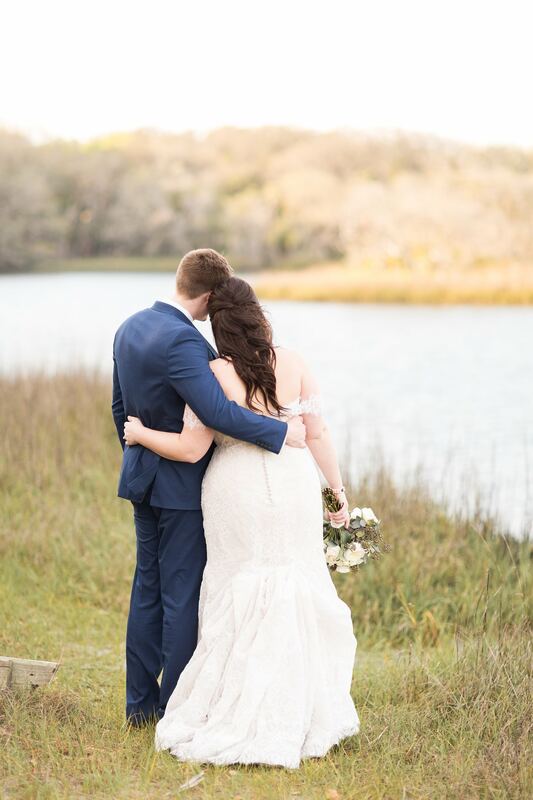 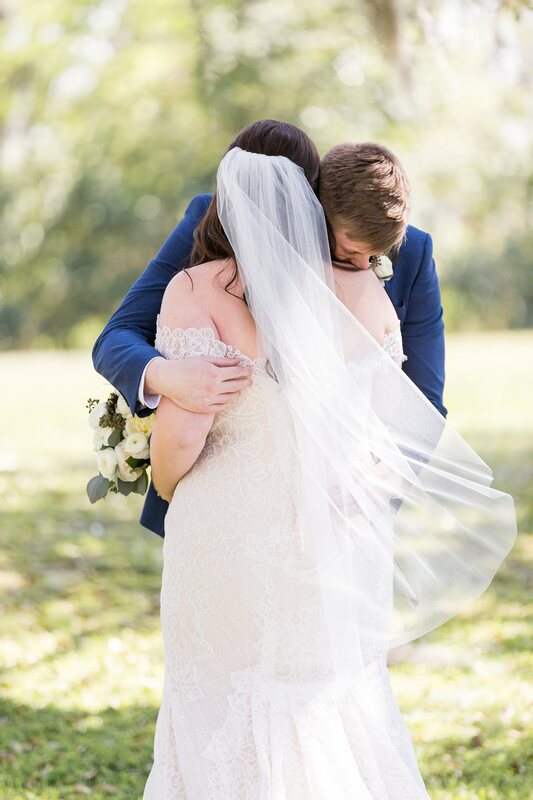 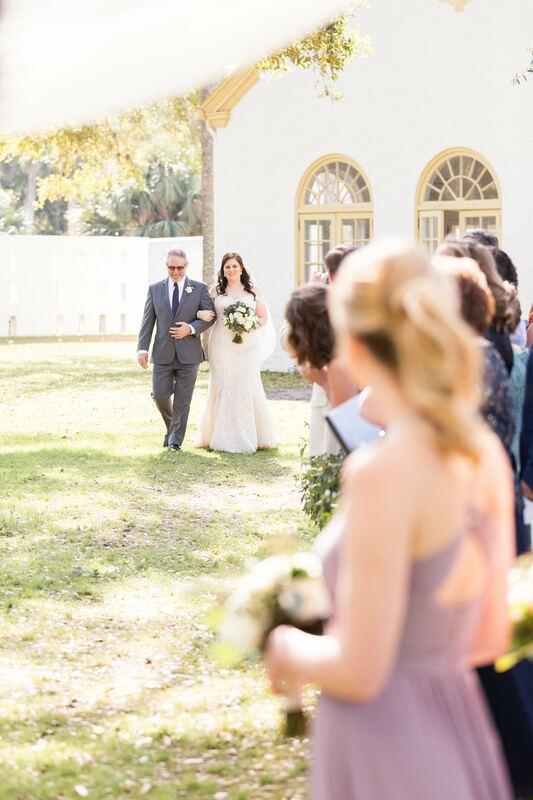 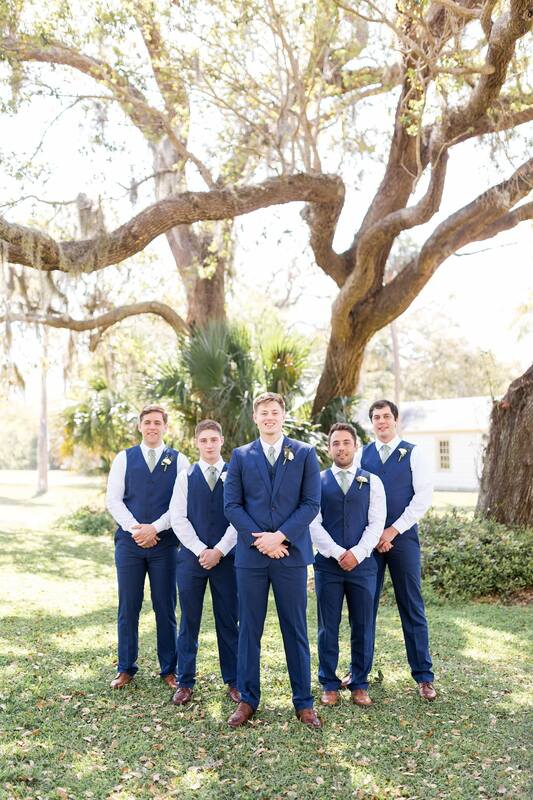 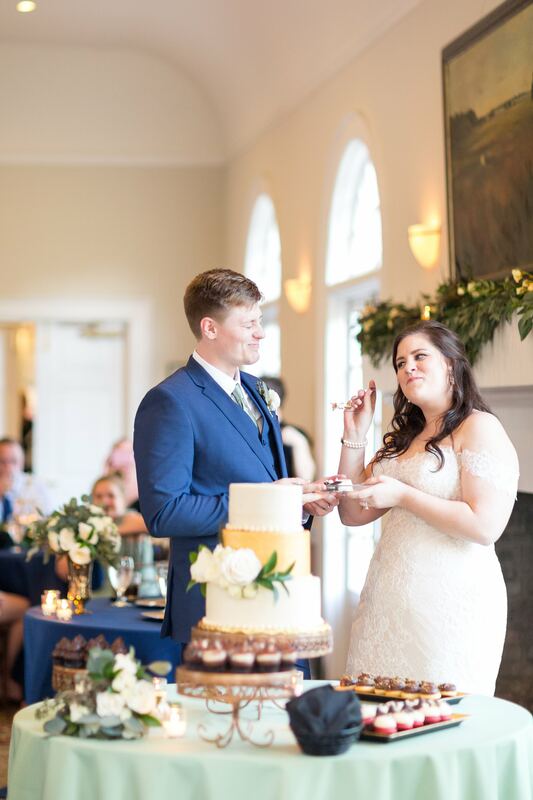 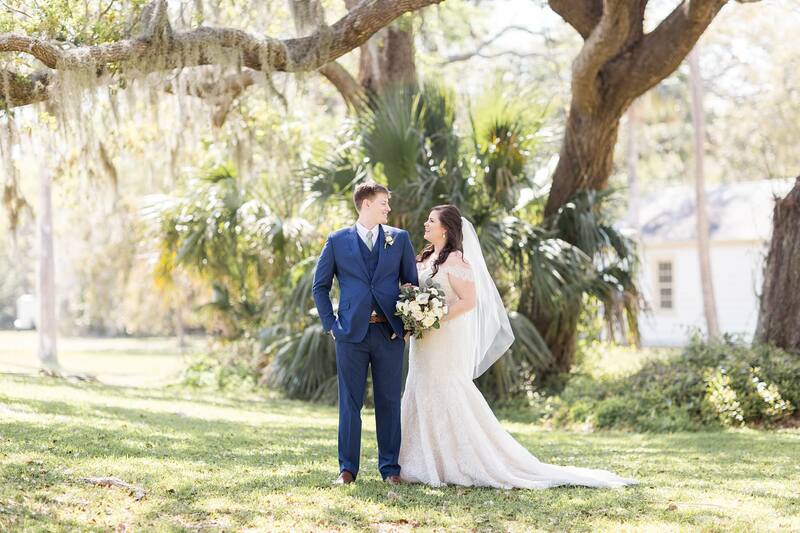 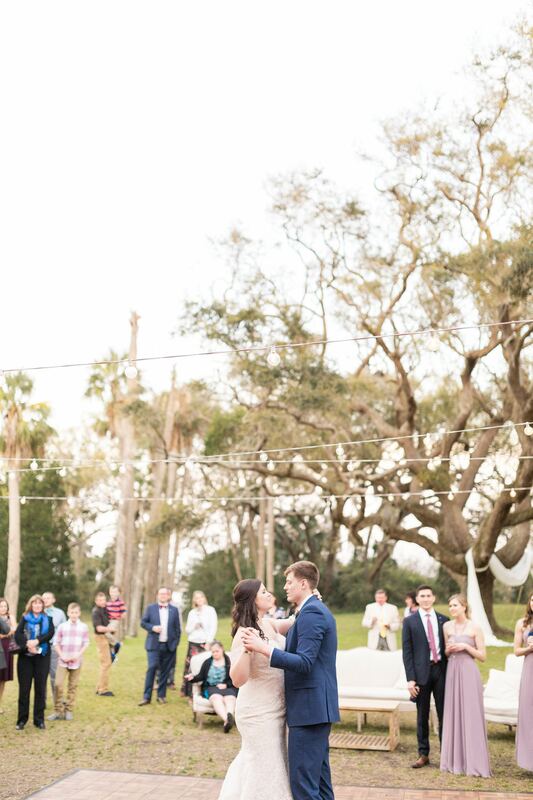 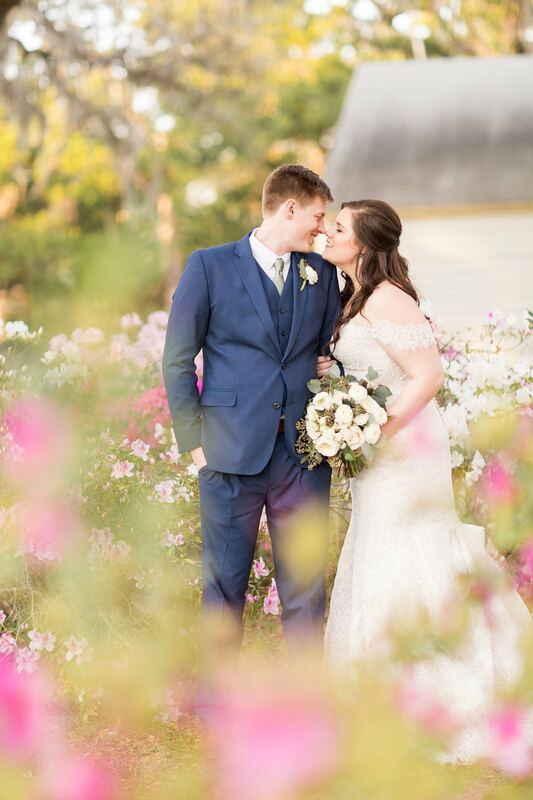 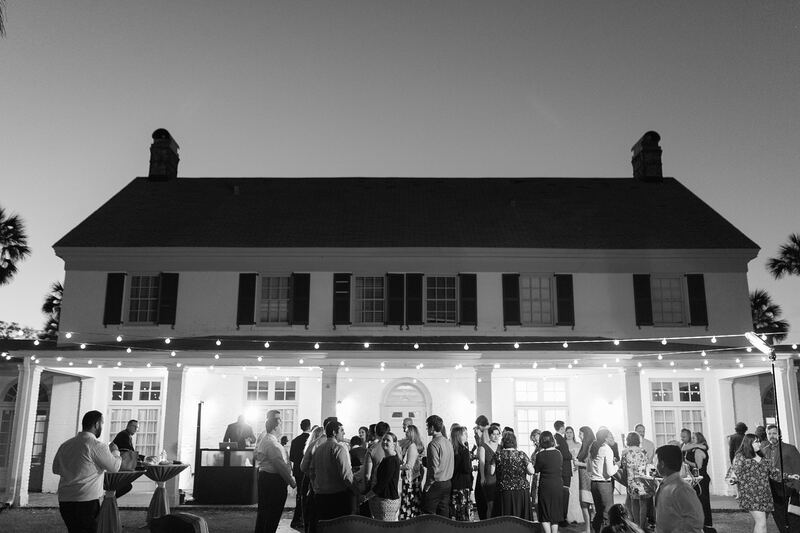 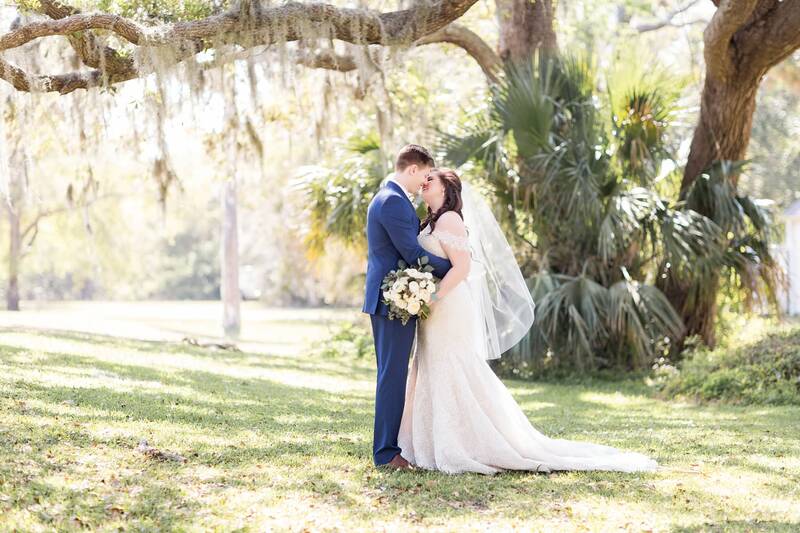 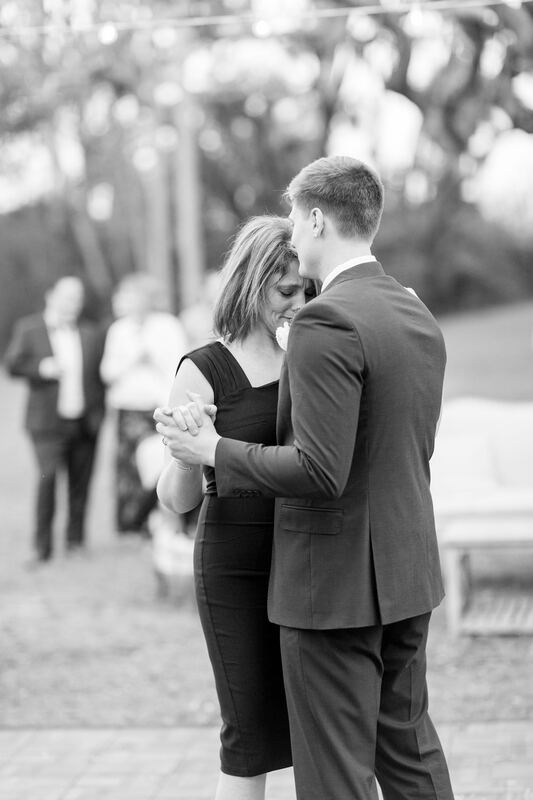 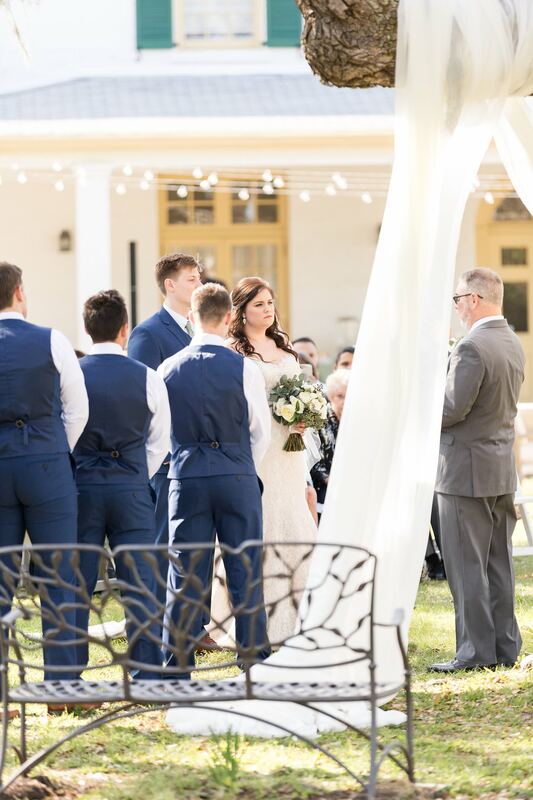 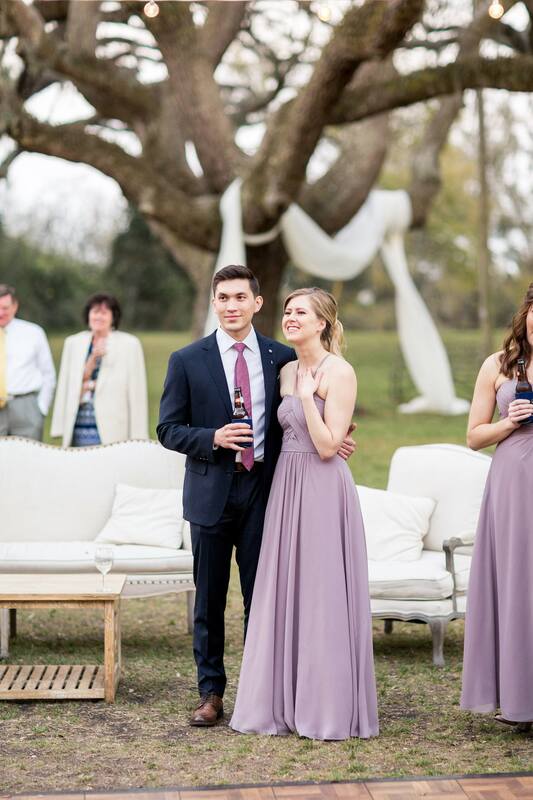 Colbie and Kristen have been together for 10 years and are high school sweethearts, so their Ribault Club wedding was a celebration everyone was looking forward to for a long time. 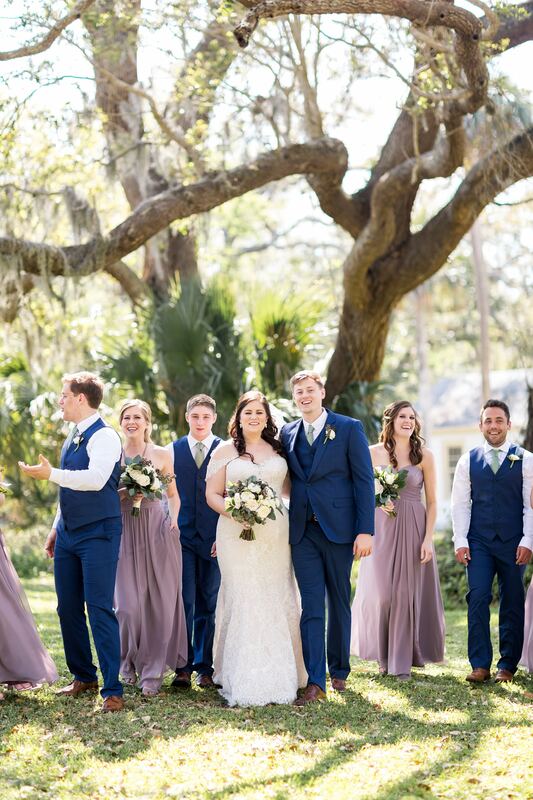 All of their guests were so excited for them and this new adventure they were about to embark on! 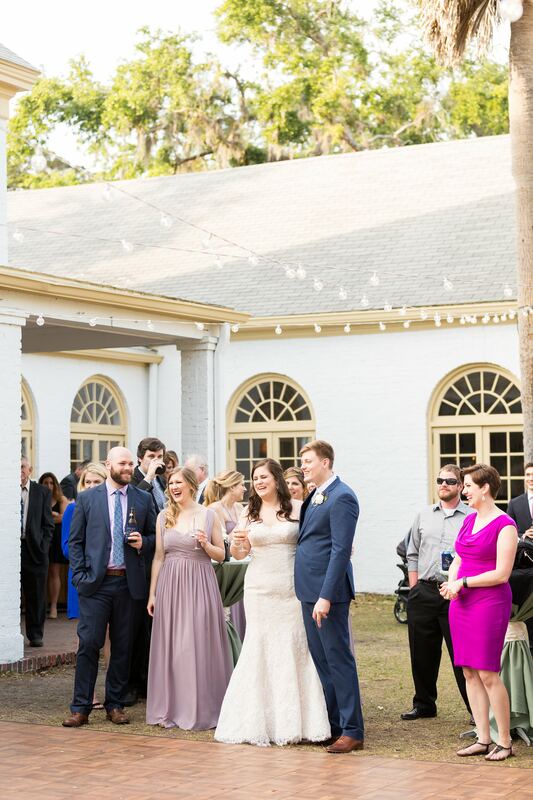 From the moment Kristen inquired with us, we knew we’d get along well. 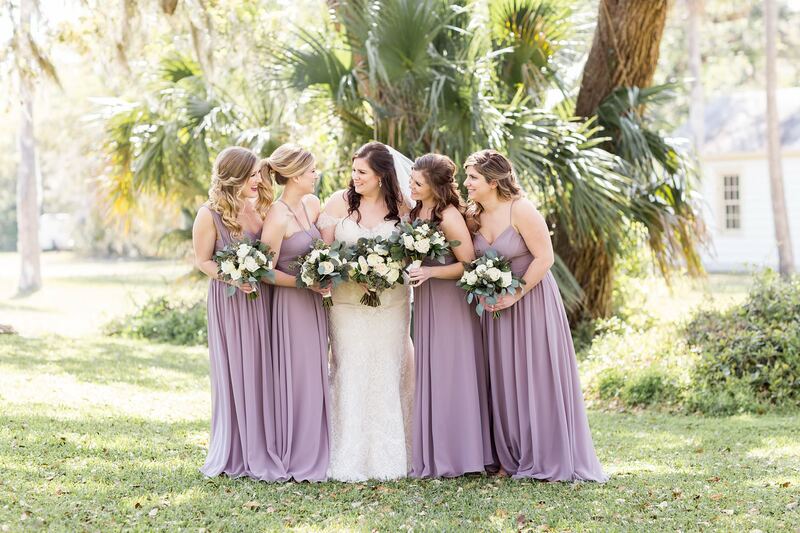 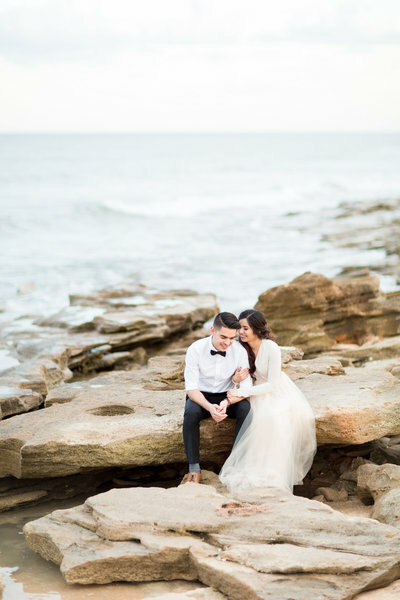 Kristen immediately told us that she wanted her photographers to be people she could form personal relationships with – she knew that she’d be much more comfortable in front of the camera if we all felt like friends right away! 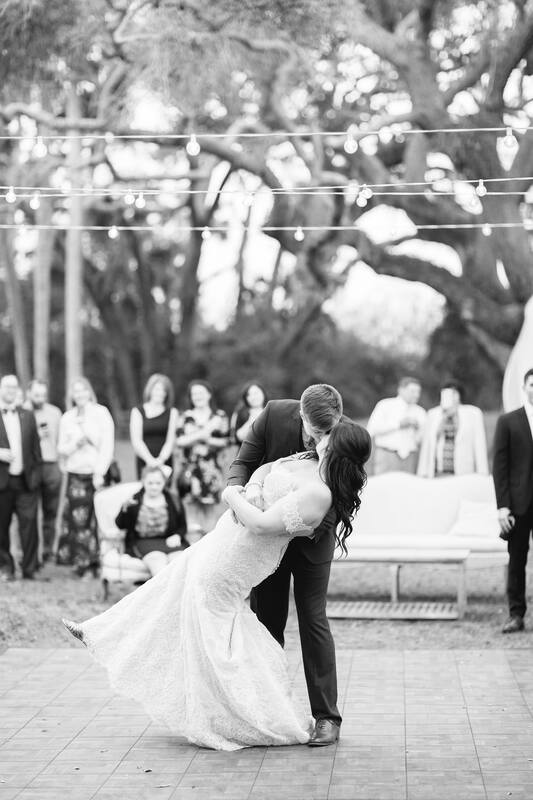 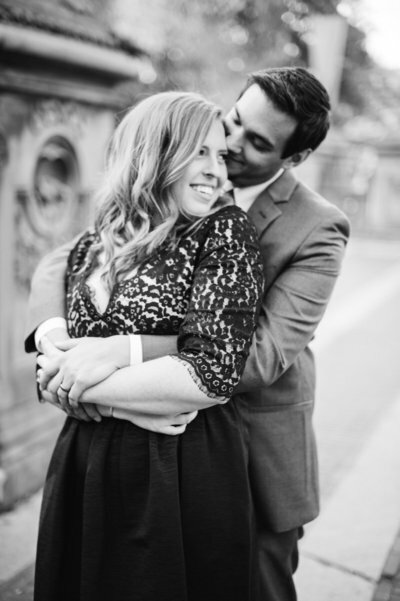 That hit home with us because that’s exactly what we strive to do with each of our couples. 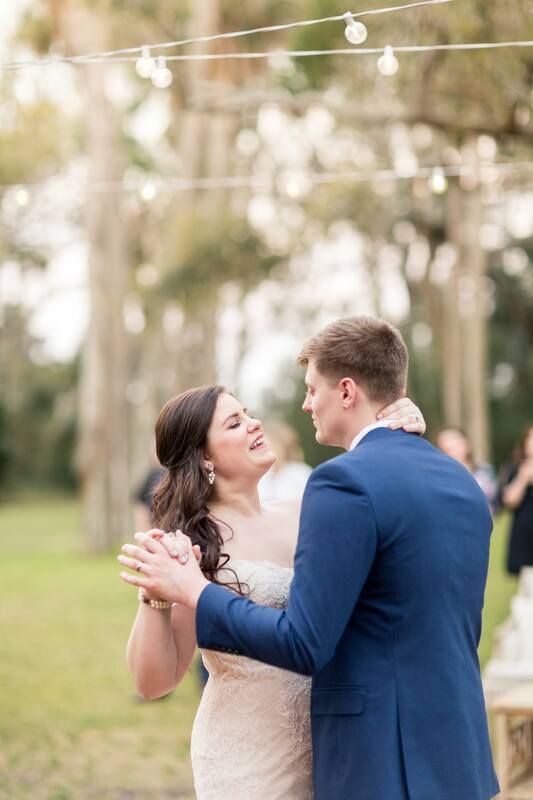 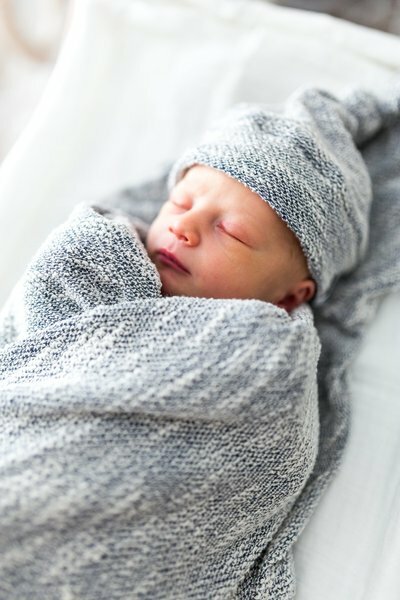 We say “welcome to the BCP family!” every time someone books! 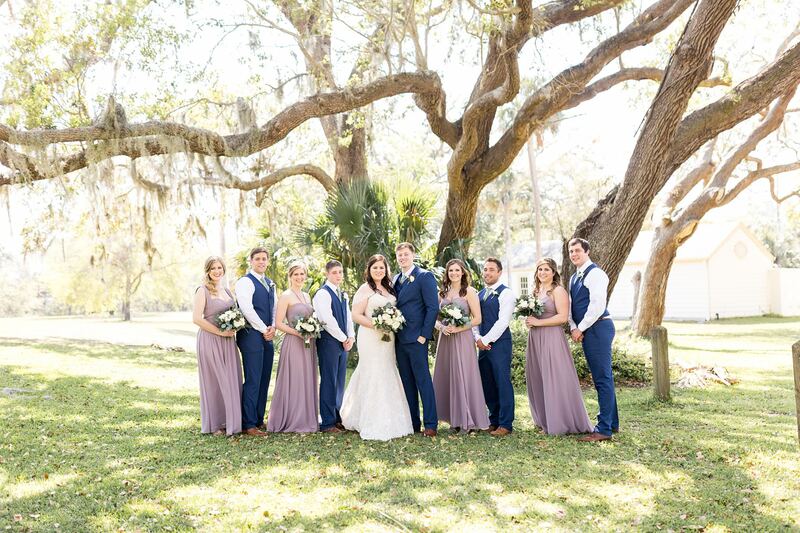 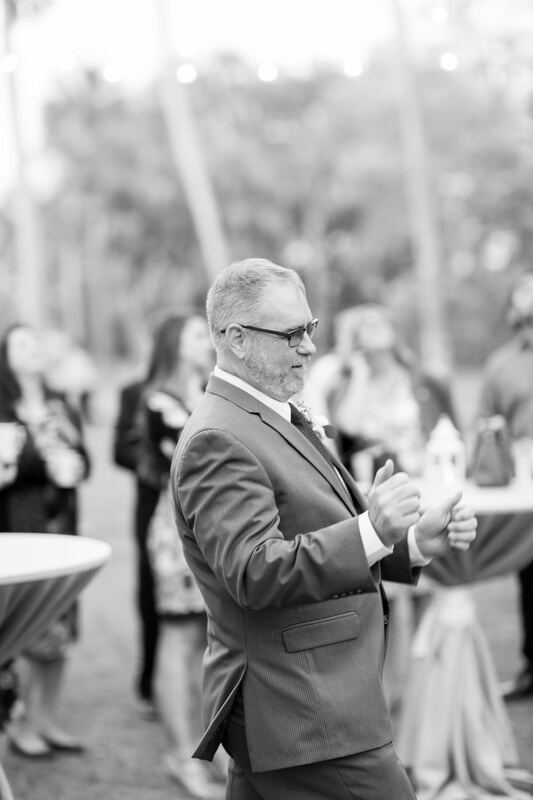 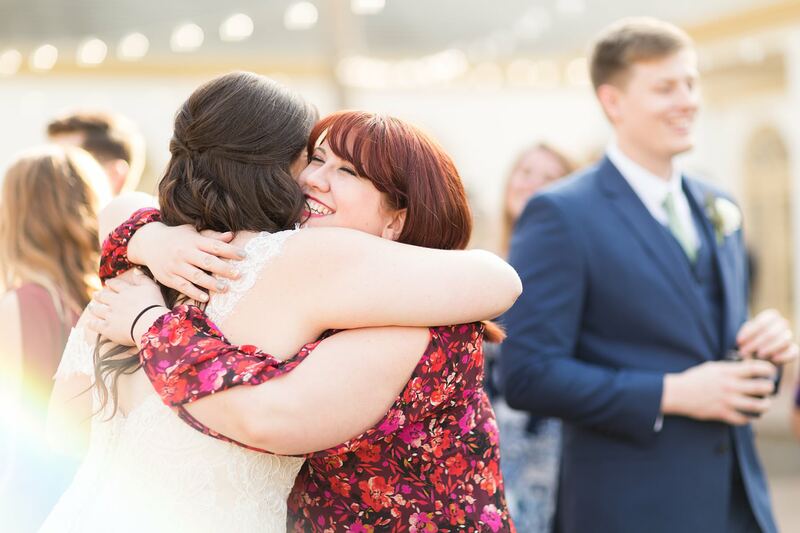 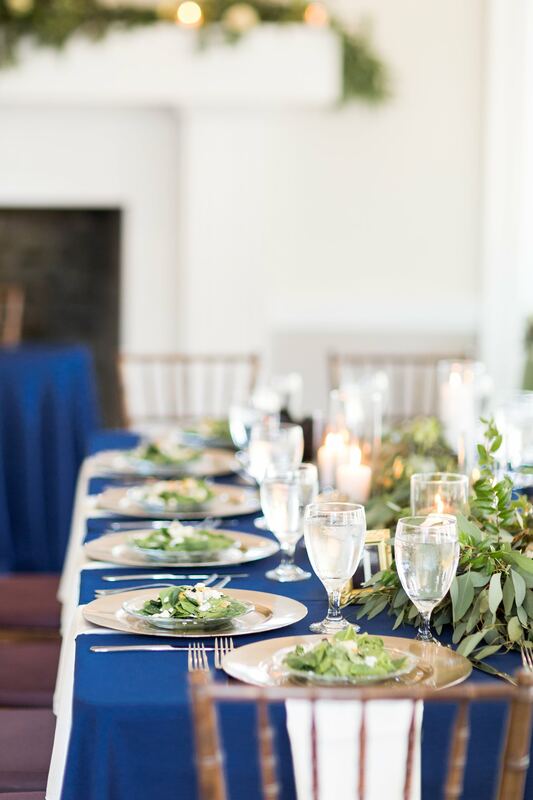 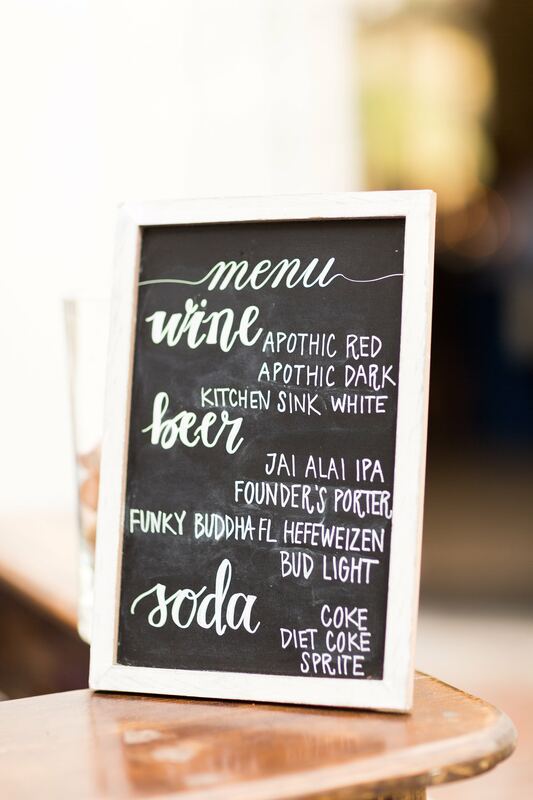 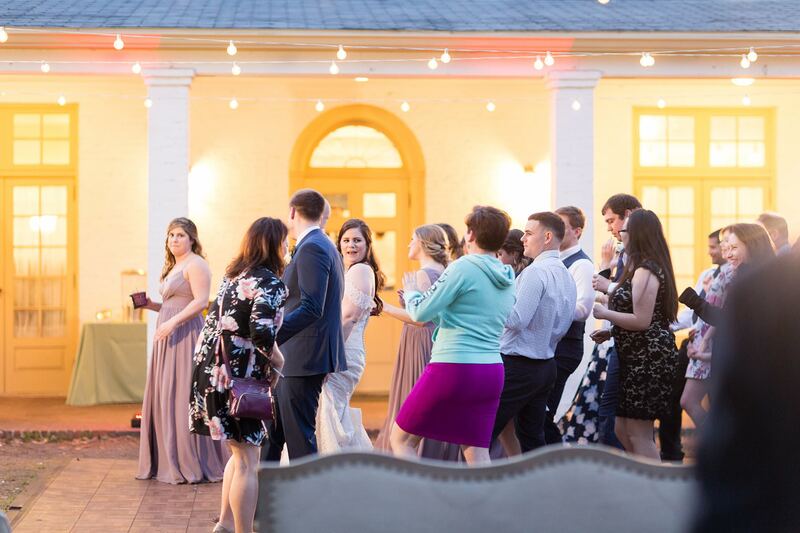 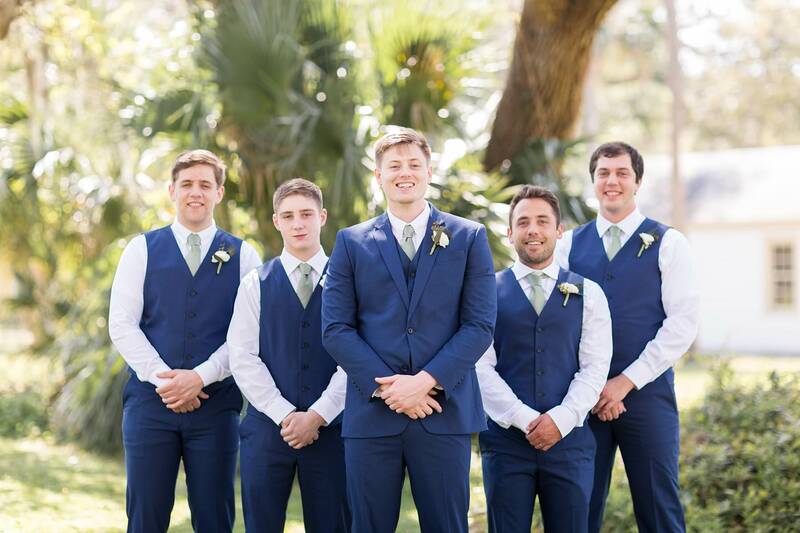 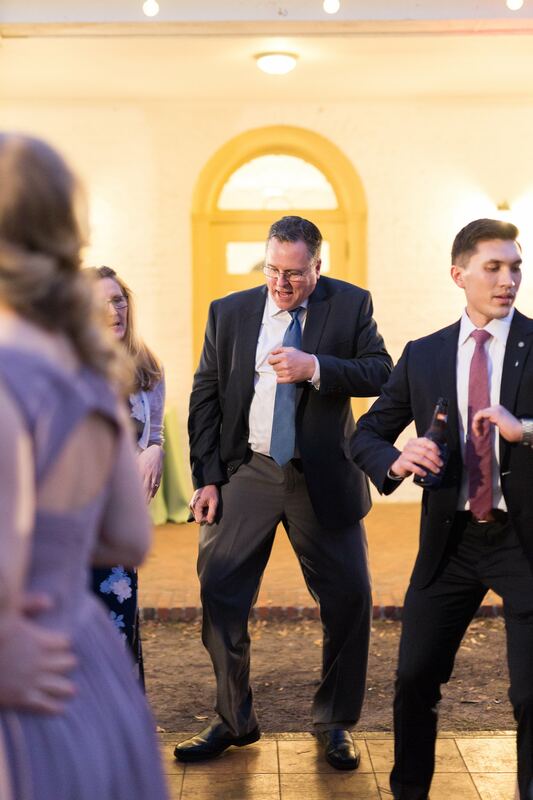 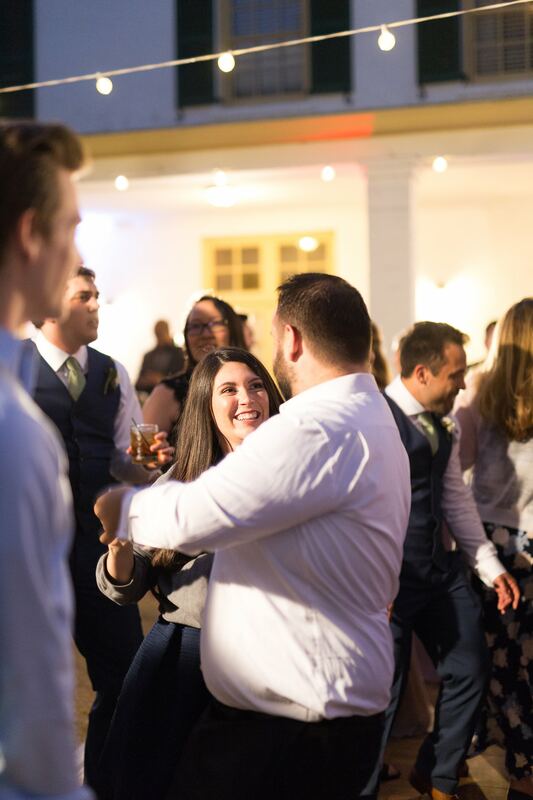 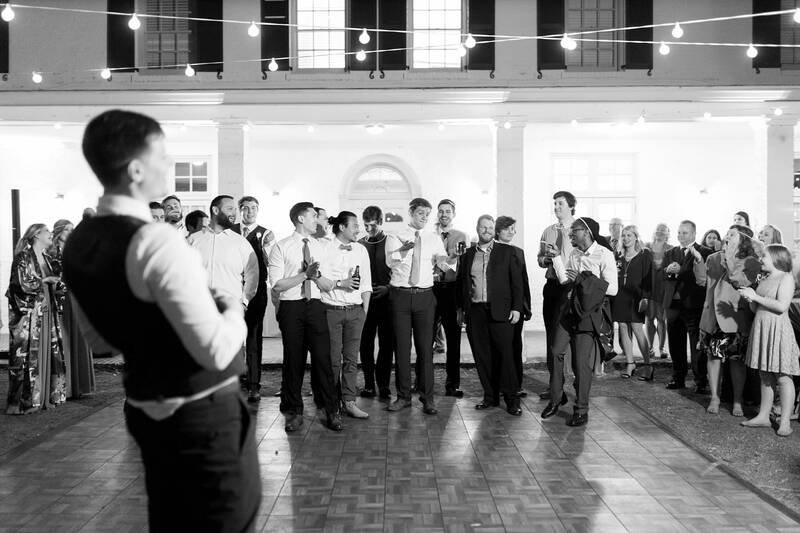 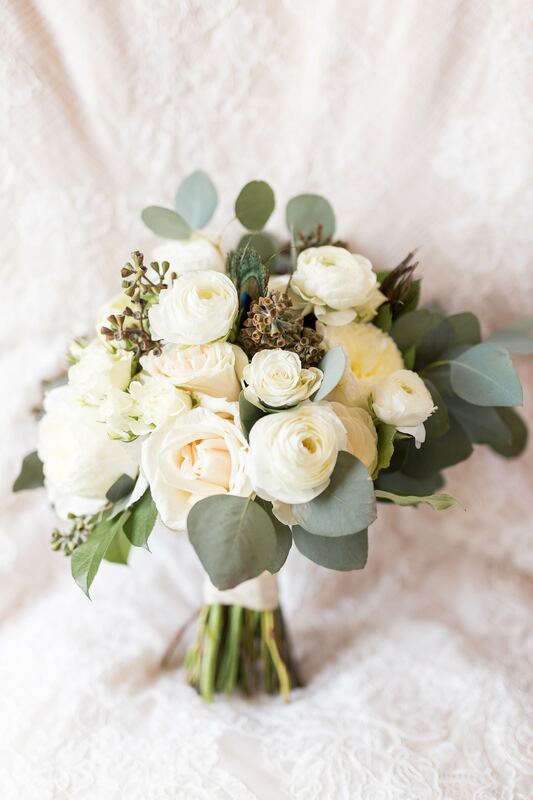 By the time the wedding rolled around though, we felt like their family and friends were the ones that adopted us – everyone was so sweet and welcoming and it was such a joy to work with all of them! 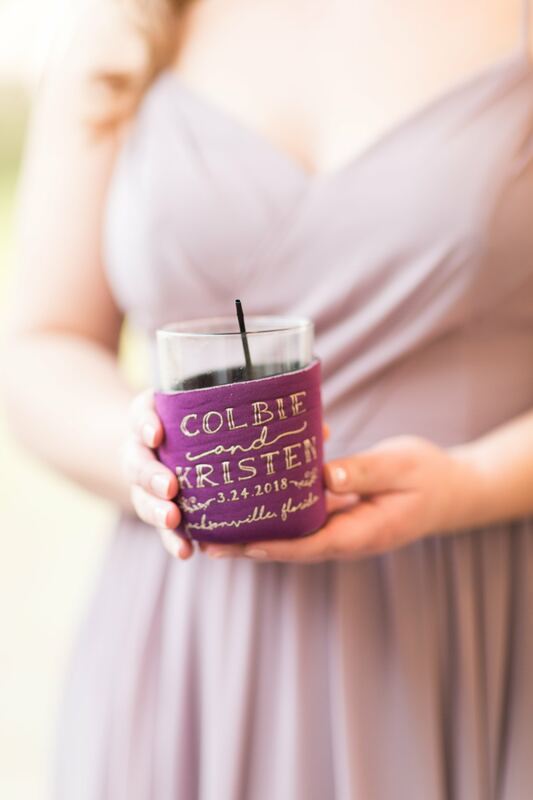 Colbie + Kristen, we wish you nothing but the best as you begin your lives together as husband and wife! 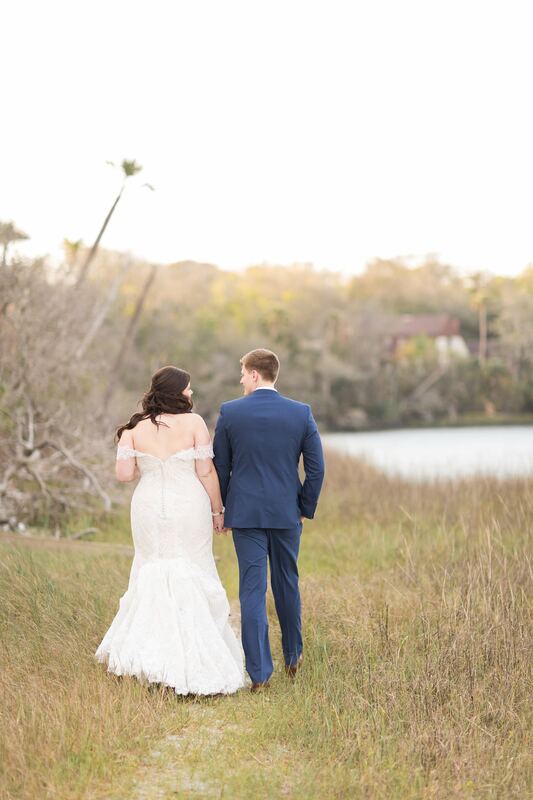 Thank you for choosing us to be a part of your special and oh so beautiful day! 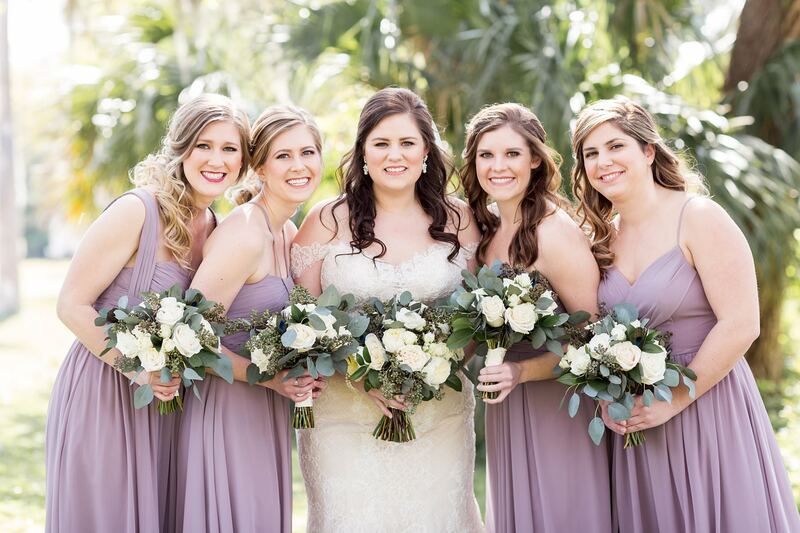 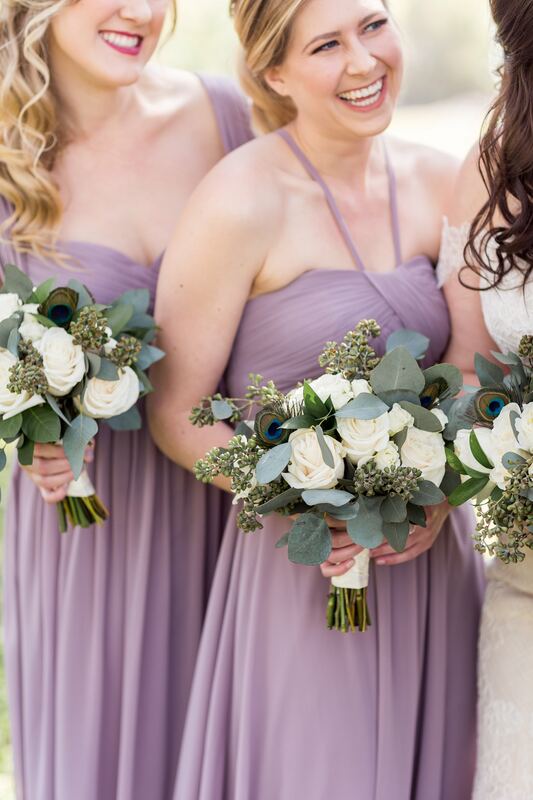 These sweet bridesmaids were a joy to work with! 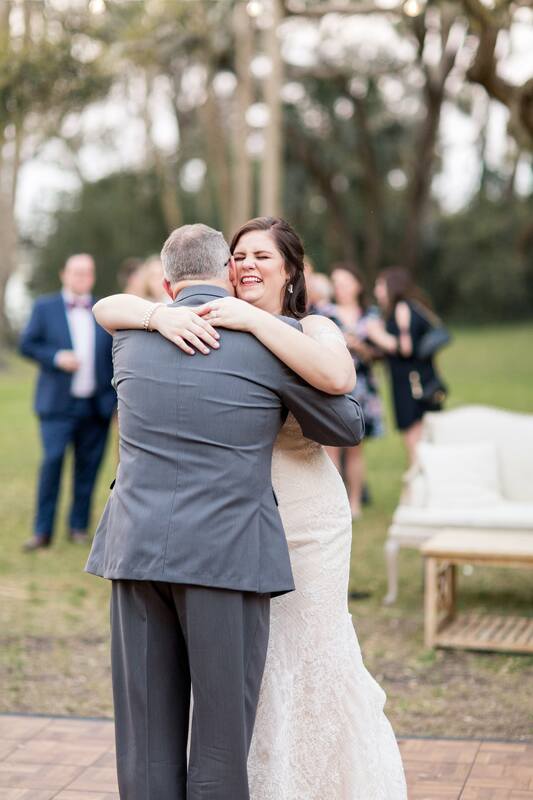 And the moment Kristen’s dad saw her for the first time was so sweet! 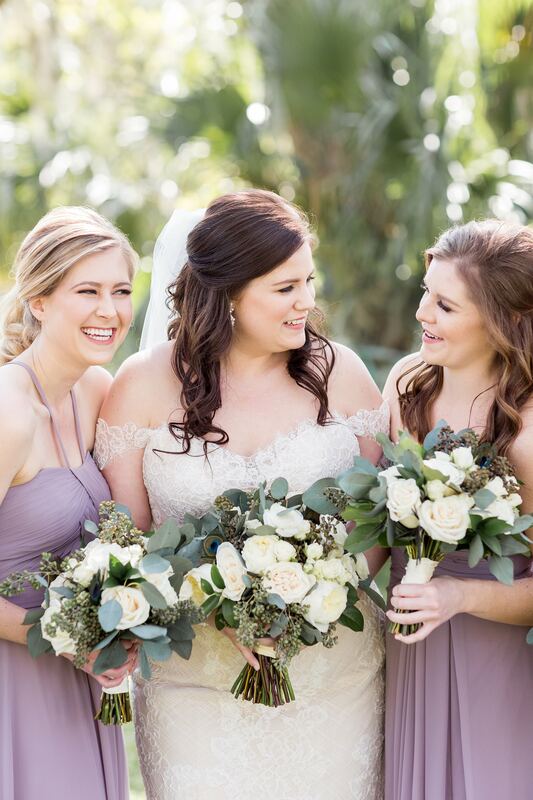 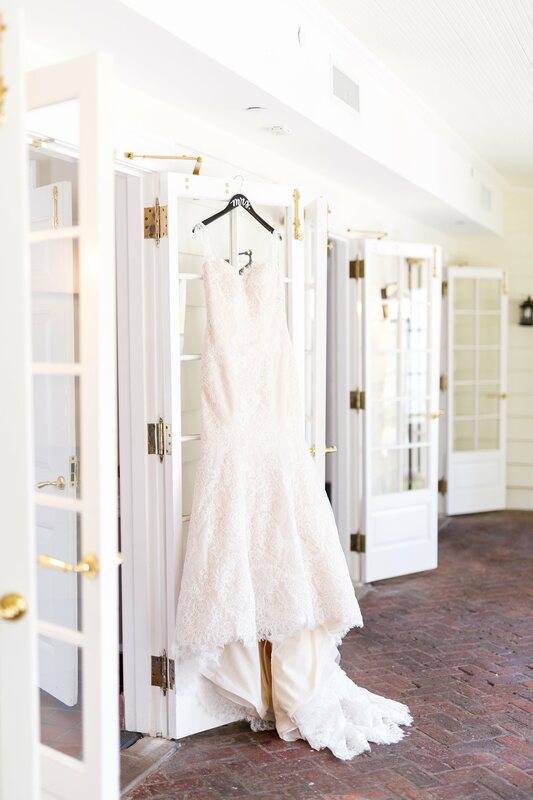 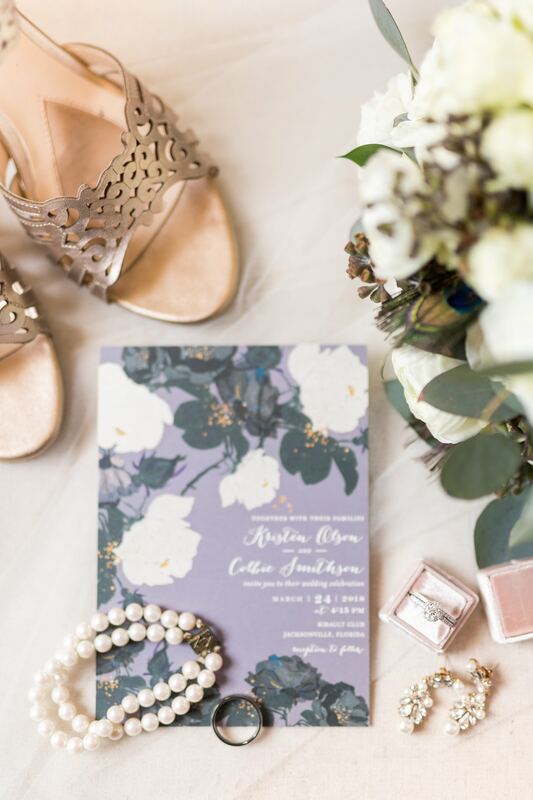 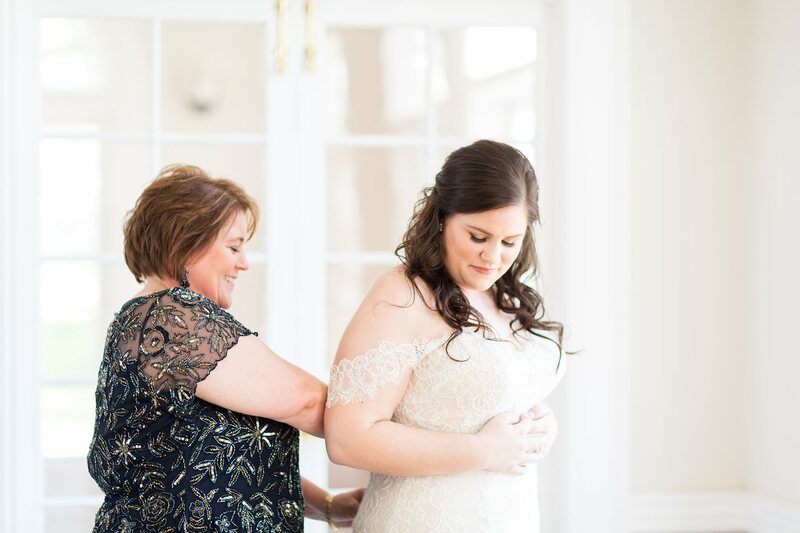 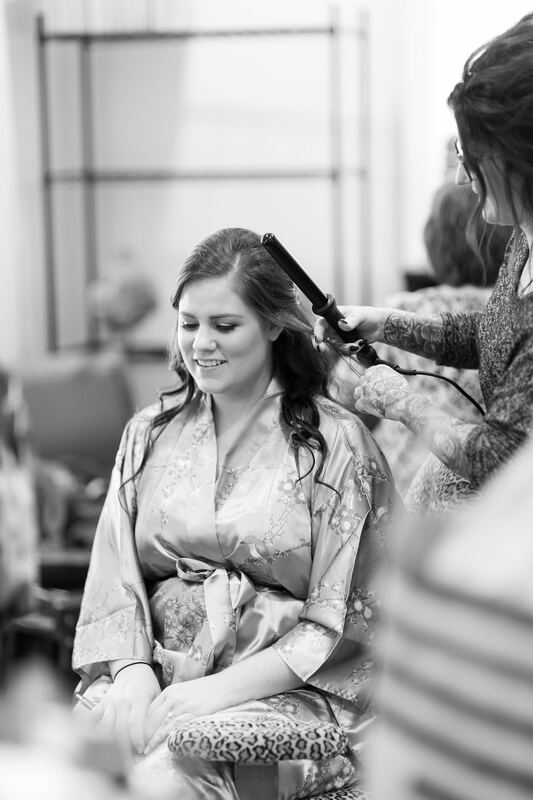 Time for Colbie + Kristen’s first look! 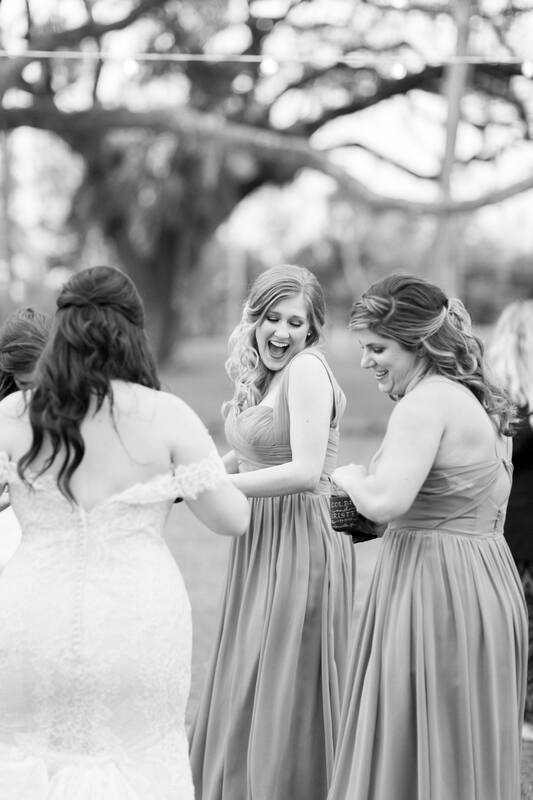 Kristen was so excited she was giggling the whole time. 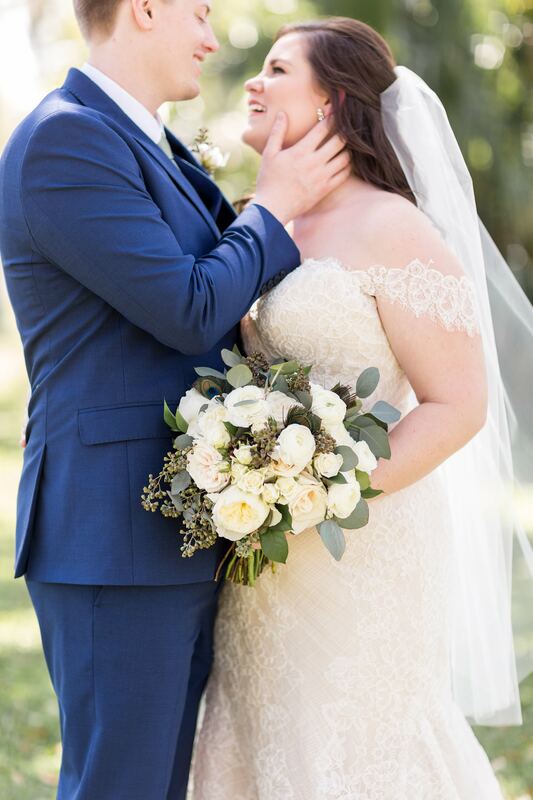 She had been saying all morning that it wasn’t sinking in yet that it was their wedding day – but I think she was really starting to feel it here! 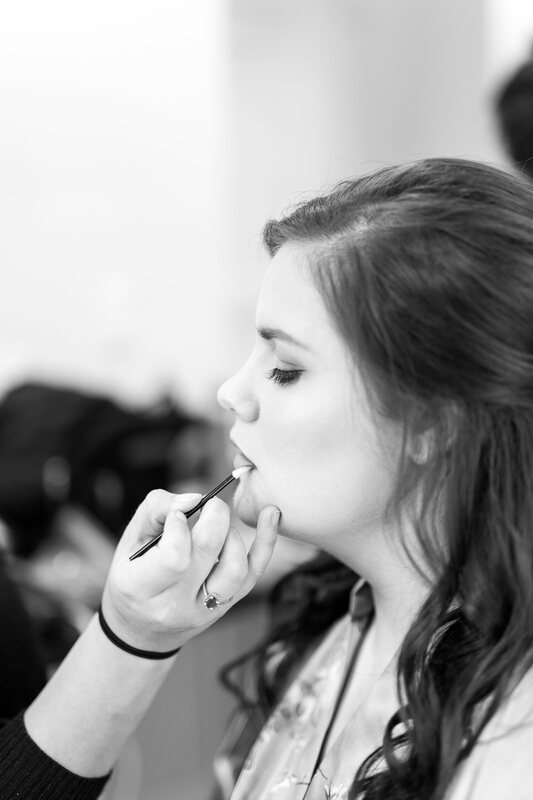 Then we dove right into portraits! 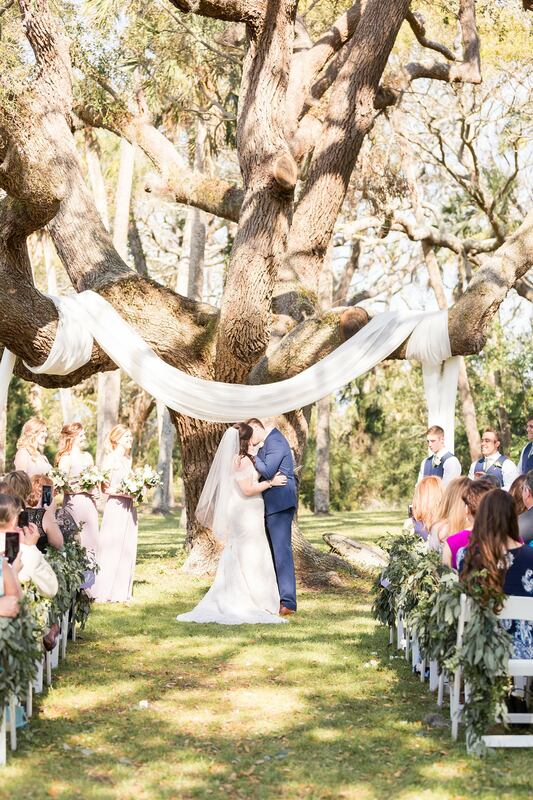 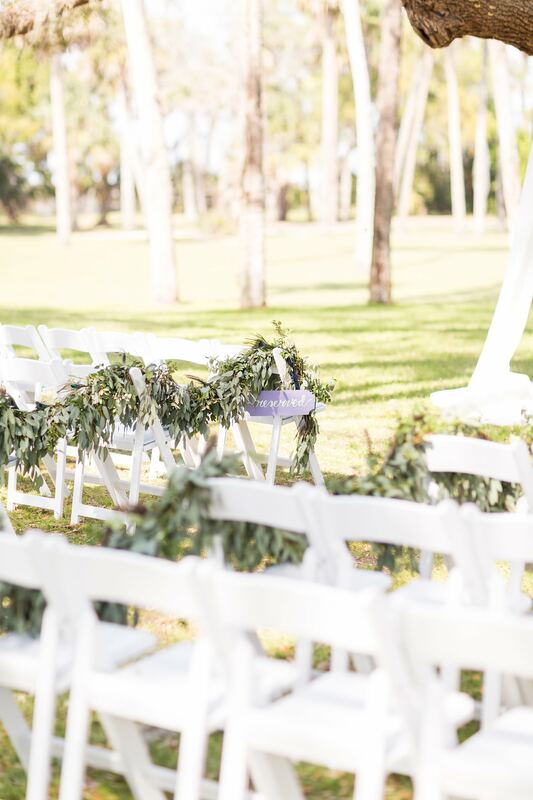 How beautiful is this backdrop for their ceremony? 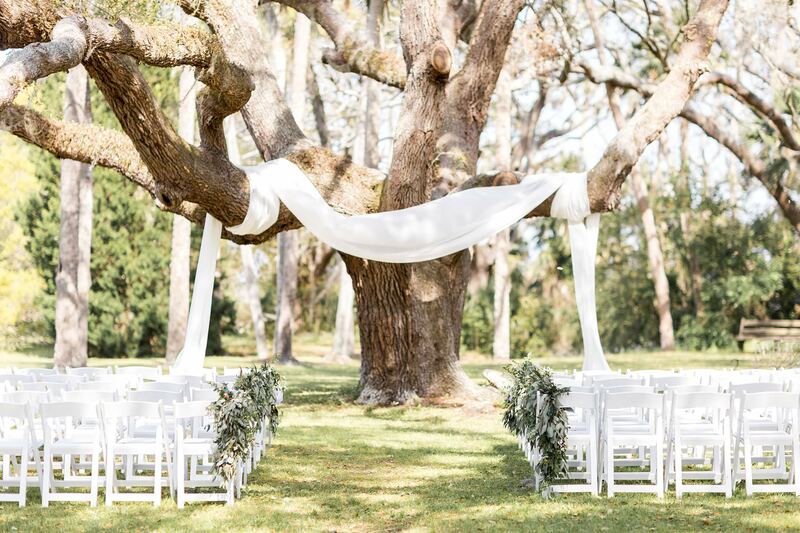 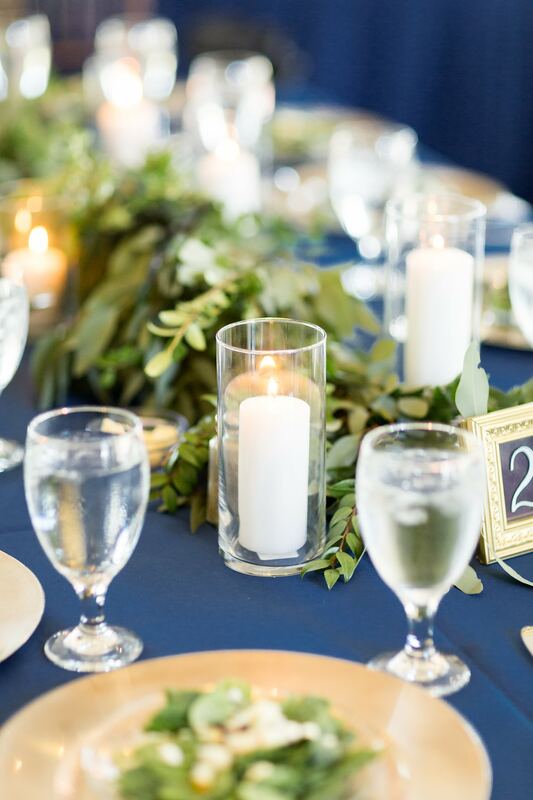 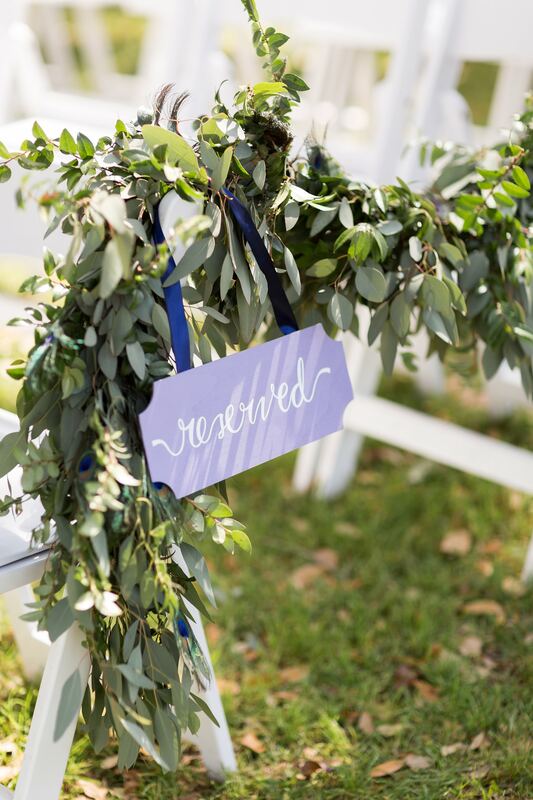 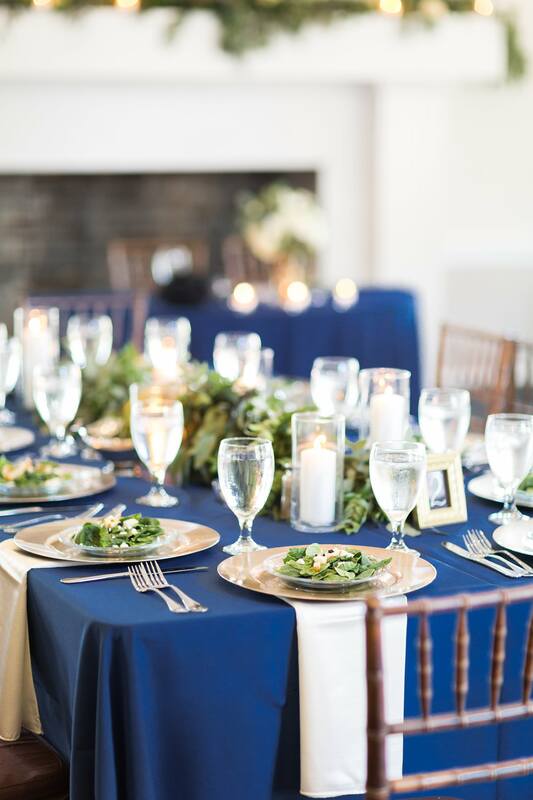 And the lush greenery garlands are the perfect accents! 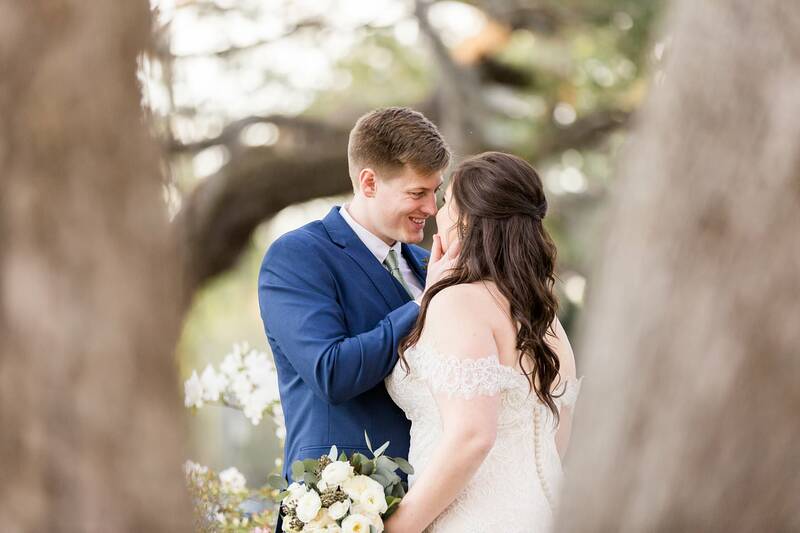 And they’re married!!! 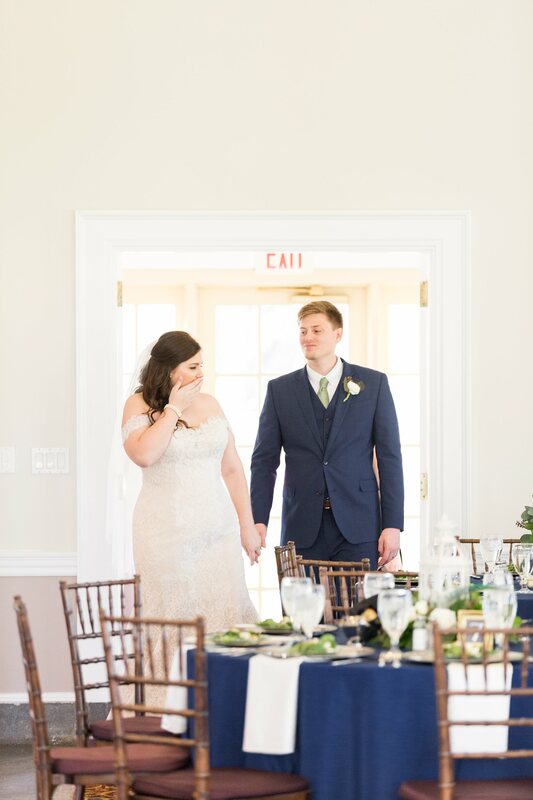 Then it was time for their reception space reveal! 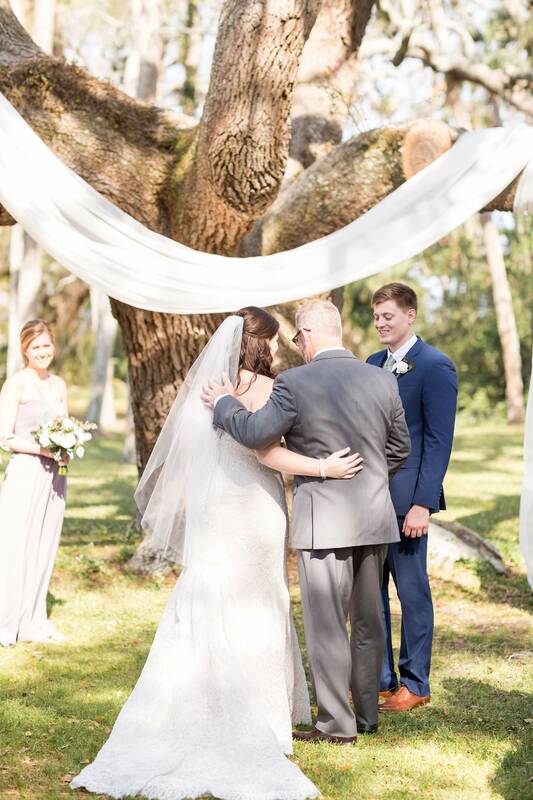 Kristen couldn’t believe how beautiful it looked! 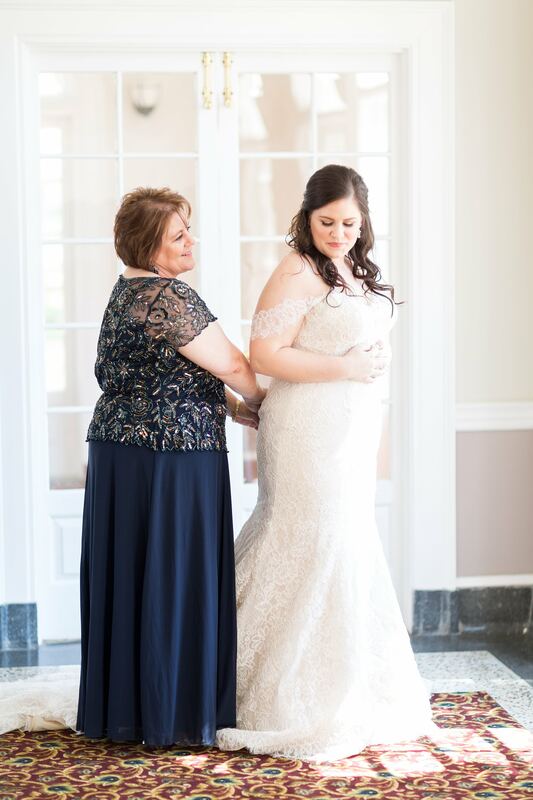 She kept saying “I’m going to pin all of this on Pinterest! 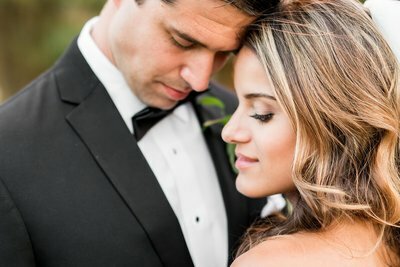 I’m going to pin my own wedding!” So so sweet! 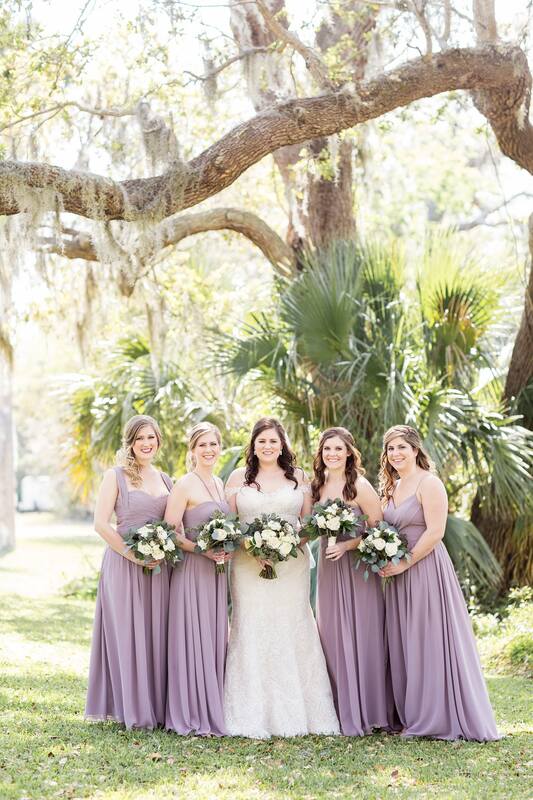 Coastal Coordinating and Rose of Sharon did such a wonderful job! 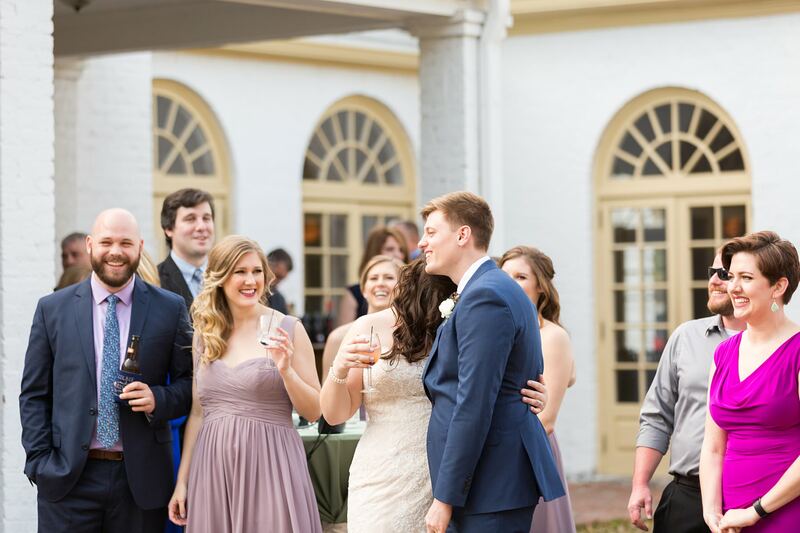 They were then introduced into cocktail hour so they could mingle with their guests before dinner! 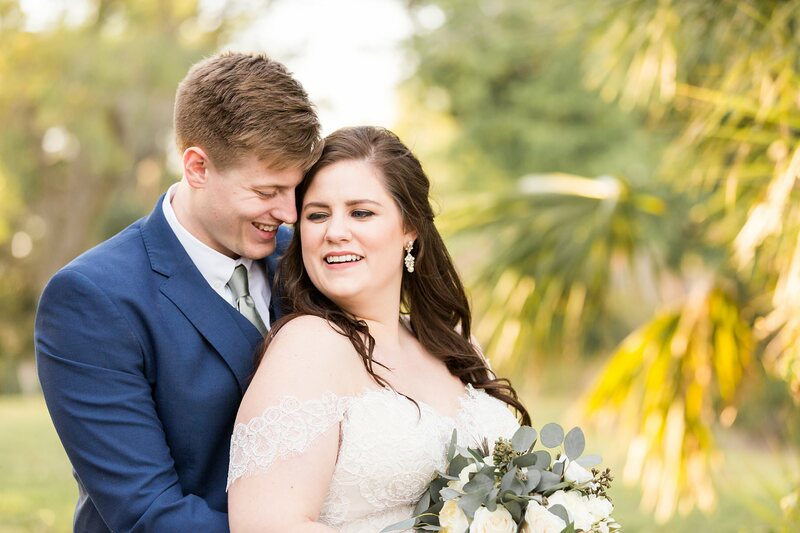 Then we slipped away for a few minutes once dinner was started to grab a few portraits during golden hour – we love how beautiful that glowy light is! 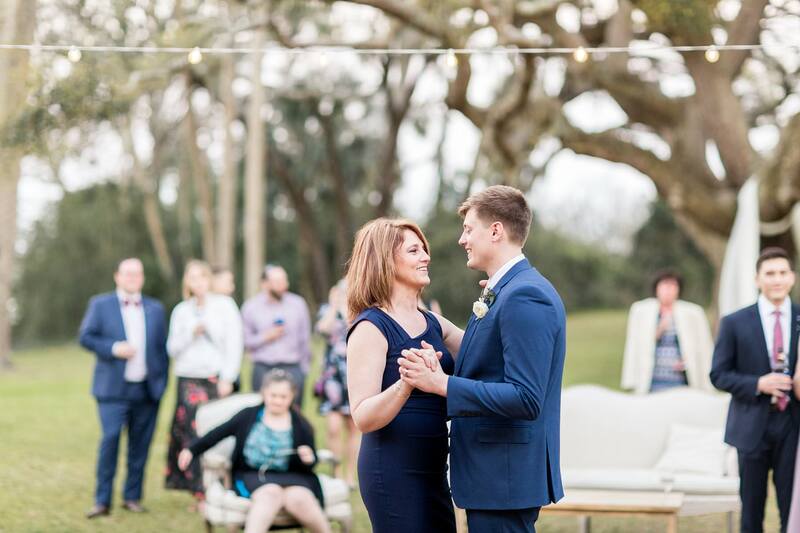 The next two photos were taken at the same time, but just with two different perspectives. 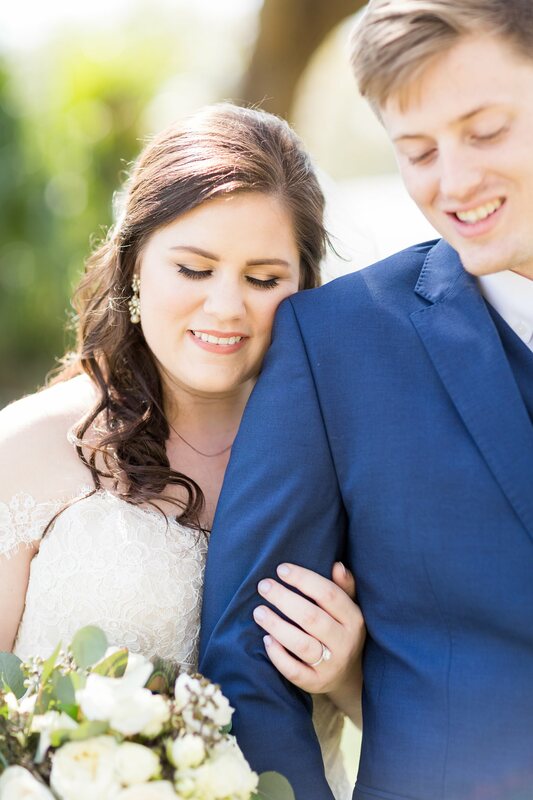 Michael and I both have unique view points so it’s always fun to look through what the other captured after a wedding!